Beverly Moss Spatt became chair of the New York City Landmarks Preservation Commission [LPC] in 1974. She was a planner by training and had previously served on the New York City Planning Commission. During her tenure, she worked to make preservation desirable and affordable to property owners by working to educate the public about the financial benefits of owning a landmark and finding both public and private sources of funding to help owners with maintenance costs of historic buildings. She speaks about the importance of a having a nonpartisan commission and of working with other city agencies in order to be effective in the city. The 1973 Amendments to the New York City Landmarks Law went into effect the year of her appointment and the first scenic and interior landmarks were designated under her leadership. Q: —thing is I’m saying and we’re already recording and we’re good. Spatt: Good. You’re giving me something else? Q: No, I printed out a copy of the questions as well. Q: Of the questions I sent you, but I just want to beef them up with things that I want to be sure we hit upon. Do you want to start by kind of diving into maybe combining both your background and appointment as chair because it seems one and the same in some ways, you know? Spatt: Let me say my background—and I think it’s more important, not just the [New York City] City Planning Commission, but I’m a civic person, a do-gooder, and I’m not a politician. I’m not political, my appointments are not political and my being thrown out each time is not political. I get appointed and then when my chair is up, and a new mayor is in, he puts me out and then another mayor puts me in, and another puts me out. I’m not political. Probably that’s why The New York Times and Channel 13 [WNET] and the others always have me on their programs because they knew I wasn’t political. Spatt: Well, let’s put it this way, I try to be honest. Here’s an article I wrote on virtue at Manhattan College. I also studied philosophy and I believe in virtue and integrity and all those things and I’m a League of Women Voter, so I come from Citizen Union. In other words, we’re—not just me, but all [unclear] people for the public good. Not for partisan interest. So that’s my background and my family was like that. You can interrupt me at any time. Spatt: Incidentally, my ears have gone. Spatt: Well, I don’t identify with that particularly. Actually Mayor [Robert F.] Wagner [Jr.] was really responsible for it. He was more or less a civic person himself—that’s why I got appointed because one, he was pro-civic people, he really was. He was probably the only mayor who was and he also didn’t object to women, which is very important. That’s not the only reason I got appointed but that really has something to do with being appointed. He was pro-civic groups. actually, he started the law but there was also people like—there were interested parties who were interested in landmarks and preserving it and they were interested in civic people too, and the Municipal Art Society, et cetera. Q: The Municipal Art Society, you’re speaking of? Q: To Landmarks or City Planning? Spatt: To chairman of Landmarks. In other words, I wasn’t one of them. That doesn’t mean that I didn’t know what I was doing but that wasn’t one of them. Q: Do you think that worked to your advantage in some ways? Spatt: It was to my advantage and disadvantage. Q: I’m wondering if you could talk about that. Spatt: They weren’t happy with me. They wanted to make decisions and I felt decisions had to be made by the commission itself as well—for the public interest. It couldn’t be made by a small interest group, because it was a very small elitist group. That doesn’t mean they were they weren’t well intentioned but they were not broad-minded, they weren’t looking at it the way civic people look at it. We look at the whole city. Anyway, my experience on City Planning helped. Let’s put it this way, I was director of city planning for the League of Women Voters, so I knew all about city planning. I knew about the third tunnel [New York City Water Tunnel No. 3], I knew about preservation because we had approved that, certain things on preservation. So I was knowledgeable in a civic way. Q: Could you talk a little bit about—because I think that’s interesting, the overlap in some ways between planning and preservation—of while you were on City Planning, specifics of how you were engaged in preservation. What decisions City Planning was making that had an impact on preservation? Because it’s something I think people don’t always see the connection. Spatt: Unfortunately—and I’m not talking about today because I don’t really know about—I mean I know that the chairman of City Planning but I don’t know her personally, so I don’t want to discuss her. Q: No, stick to what you know. Spatt: But City Planning in those days had a lot of real estate people on it. Ellie [Elinor] Guggenheimer, and Harmon Goldstone, and myself were not real estate, we were more civic people. The rest were real estate people and the decisions that they made were not necessarily in the public interest. So I, as a civic do-gooder, dissented on a lot of issues. I have a whole file if you want my dissent copy of things. I had a whole file of dissents. I became a dissenter. As a result, The New York Times loved it, and Channel 13 loved it and Channel 2 [WCBS-TV]. They must agree to it, also in the time of [John F.] Kennedy and there were fellows on The New York Times that were very idealistic and were for the public good. I won’t say that now. There are a few of them left and there are a few of them still alive for the public good, but they took up our cause and they really made me—because they agreed evidently, but it was very hard. I used to go to the ladies room and cry. The commissioners were very difficult. They didn’t always tell me when there was a meeting and things like that. Spatt: Well, because they knew I was going to say my opinion. Whereas they would let a developer build something extra, if you were a family in Queens and you had a little house and you wanted to build on an addition for your mother in law who was sick and widowed, they wouldn’t let you but they let the developer. So, I became a dissenter and I didn’t mean to be. The Times called me a maverick. I didn’t mean to be a dissenter but that’s what happened. It was very difficult. But on the other hand, the public became my allies. They were my allies, what could I say. When things—we had a [New York City] Board of Estimate at the time—in the morning my voice goes. We had a Board of Estimate at that time and in some ways the Board of Estimate was better than the [New York] City Council, so we didn’t think so necessarily. Q: How so? In retrospect why do you say that? Spatt: And I discussed this with some people at our last preservation conference and those who are knowledgeable and been in preservation a long time, the HDC [Historic Districts Council], they agreed. We were able—there were only five people, We were able to get to those five people. Q: On the Board of Estimate? Spatt: We couldn’t get to all the members of the City Council. If one borough president—if we got to one borough president, and it was his area, the other borough presidents listened. Spatt: And I got very friendly with the staff. It’s very important to get to know the staff of the person on top. Sometimes that’s more important, the people below than the person on top. The person on top makes the final decision but that decision, if he’s good, is based on staff recommendation. I got very close because I not only wanted to get my point across—and The New York Times helped every time and The New Yorker, there was a woman there who had a column every week and I was in the column. Anyway, I got friendly with the staff and the staff, they weren’t political at the time and they would advise the borough president. Therefore we, the people sometimes won. Spatt: But that’s how it worked. Q: When you—at City Planning you knew the staffs of the borough president. Spatt: I knew the staffs of the borough presidents. Q: How did that work then when you joined Landmarks? Did you already have a relationship with a number of them? Did that make the transition easy? Spatt: They wanted to rezone higher, higher density and the people didn’t want it in Cooper Square. We formed a group and we tried to discuss it with the borough presidents and I discussed it with the staff. [Abraham] Beame’s staff—I told them all the points and Beame voted against City Planning and everybody voted against City Planning, except the mayor, [John V.] Lindsay. You know, if one borough president joins in and—you know and I think Beame was very grateful. He got a lot of publicity out of it. I never took any credit but gave them all the credit. Q: Gave Beame’s office the credit? Spatt: That’s not quite how it happened. Q: Can I ask one more thing about at City Planning, because I think it’s interesting when you said the Commission were primarily developers, then there was you, a civic woman. It sounds like you were neighborhood focused, you very much had a sense of the community. Q: While you at City Planning what was your understanding of the Landmarks Commission at that point? Did you see them as an ally, as an organization that could help communities when these communities were coming to you? Did you see Landmarks as a tool at that point? Spatt: No, not really. But we haven’t discussed the Landmarks commission yet. Not really. At City Planning, Harmon was good and so was Guggenheimer, Ellie, but they didn’t speak out. But I spoke out. As my mother used to say, if you don’t genuflect you won’t be reappointed. I said well, that’s the way it is and it was true. And then I dissented on the master plan and that was big thing. They had meetings of thousands of people and I was the only one against master plan. But I wasn’t against it in an aggressive sense but in a professional. In other words, my speech was very professional you know it wasn’t petty. Q: Right, it wasn’t political but it was more [crosstalk]. Spatt: No, I spoke to all the professional points. One of the things they said, that those people who didn’t have jobs and didn’t get ahead, if they worked really hard or went to college or if they—kept saying these elitist kind of things, they could get ahead, which is true in a way but isn’t true. Anyway I’ll give you one of my books on city planning. Q: Oh, I’d like that. Spatt: A lot of things they did, the communities were not happy with. Spatt: That City Planning did. Q: What in particular that City Planning—? Spatt: Once they were putting a shopping center in the middle of an area that had a school, a church and residents. It was in Queens and the people were against it. Harmon and I were the only ones who voted against it. And they took us to court, the lawyer of New York City Planning, Norman Marcus, City Planning took me to court. Q: City Planning took you to court? Spatt: Not Harmon, because the community appealed it. They kept trying to make me out a communist because at the end of my dissent I said “We have to take in hand a new order of things.” The rest of it was professional but—I read philosophy and I enjoy words, okay? So he kept me on the stand for about an hour asking what do I mean by taking in hand a new order of things? Meaning that, I’m a socialist or communist—don’t forget this was in the ’60s. Finally, the judge recessed for lunch and after lunch he said, “Are you still going to continue that?” He said to Norman and Norman started and I said, Mr. Justice, to tell you the truth, it was something Mr. Justice [Louis] Brandeis said. Well that ended it. If Brandeis said this, it was okay. You want to turn off the record? Spatt: It was very difficult but I kept my word. But what else do you want to know about City Planning? Another thing that we had—oh Staten Island. They were always putting development, cookie cutter housing, they even wanted to put in a cemetery. Well I became the Staten Island champion. There was another group of people, you know way over, Staten Island? Spatt: So I was publically known. Q: So you had connections in all the outer boroughs, it wasn’t Manhattan centered by any means and you’re from Brooklyn. Spatt: And I wasn’t a kook, and I had a good resume and a good background and I worked for Wagner’s Finance Commission [New York City Department of Finance] and things like that. They couldn’t make me out as a kook which they tried to. Q: Right, you had the credentials to prove them wrong. Spatt: And I came from civic groups, and the newspapers as they said, and the New Yorker were all for me, and the television programs and things. So I had a good reputation, It wasn’t easy, I’ll tell you that. Q: I can’t imagine it was. Spatt: It was very, very hard. Anyhow, and I had three kids and a husband you know. Anyway, what else do you want to know about City Planning? Q: Well, I don’t know if I have anything more specific but in the course of our conversation about Landmarks, maybe at the end it’d be lovely to hear you compare and contrast what you were able to accomplish through traditional planning such as zoning versus what you were able to do through historic districting. Spatt: Also another issue that could be related to Landmarks in terms of support from the communities, which I had, I always believed that you can’t do things without telling the communities. One time we had a pool for a black group, they were never notified, we did not have a quorum, and they passed it, and I dissented on it, voted against it and The New York Times picked it up, “Commission Spatt Votes Against the Swimming Pool for Black Area.” But the black area didn’t mind because they were never notified. If you’re going to put a swimming pool, without telling the people you could also put a shopping center without telling the people. Q: That’s a very good point. Spatt: It was against the law and I believed in transparency. That’s another factor. Also, another factor, which has some relationship, is they wanted to put a school and they never told the community and they had a hearing and the community was against it. The lawyer was Mario Cuomo. He was just beginning. Q: Which area of the city was it? Q: Oh that’s right, Mario was Queens. Spatt: It was a low, middle income area and Mario was the lawyer the first time. I investigated it and I realized it was very wrong; they were tearing down houses and things and I think I was the only one who voted for Mario, against it. That doesn’t mean I knew him but I voted for Mario. So after City Planning, I went to look for jobs. I was a professional, I had my masters I was getting my PhD. Q: Were you teaching at Barnard [College] at this point? Spatt: I was teaching—and Barnard, as soon as I left City Planning, they called me up and asked me could I come and teach there. They interviewed me and then they said yes. I started looking for jobs and I went to people like Ed [Edward J.] Logue who was head of urban—do you know Ed Logue? Spatt: Ed said to me, “Beverly, I’d love to hire you but I can’t because I have to work with Lindsay and Koch and all the politicians.” It isn’t that he was so political but he was political. He had to be; he was the head of [New York State] Urban Development [Corporation]. He said I’d love to hire you. Then he took out—he said, “You know, I’m a planner too.” Well, he was in Boston. He did the—he was head of—I think he was also head of Landmarks [City of Boston Landmarks Commission]. He was very involved in Boston. We had a nice conversation and I realized that it would be difficult. I was teaching at Barnard, I was also taught at [The] New School. I taught at New School while I was on the Commission because the Commission was part time, though I worked full time. James Felt said to me—I replaced James Felt—he said, “Beverley, don’t work full time.” But I worked full time. Q: So you were full-time and then on top of that, part-time for the City Planning Commission? Spatt: I taught a course, a seminar, four courses at New School for the older people. They all got jobs; I placed them all in jobs. Anyway, but it was just one afternoon a week. It went on for several years while I was at City Planning and I was also beginning to get my PhD, I had gotten my masters. One morning I was having breakfast with Mario in his office, he was doing exercises on the floor because he had a bad back, and we talked about me and we both recognized who he was. He was also an outsider at that time, he wasn’t in, and I was an outsider. We looked up the Green Book, do you know the Green Book? Q: I do, the city Green Book. Spatt: You have to read things. We took the Green Book and we went through everything to see where I was professionally equipped and since I knew about Landmark Commission, we looked that up. It said, number one, it had tenure. That means they couldn’t fire me. Q: I didn’t realize that Landmarks had tenure. Spatt: Yes. I think it was four or five years. I don’t remember exactly, this was in the ’70s. I left City Planning in 1970. So we looked at that and it had tenure. They needed a planner, they didn’t have a planner. Among their—they had qualifications. I don’t know if you know that. Spatt: And they didn’t have a planner. Q: And you knew that they didn’t have a planner? Spatt: I researched it with Mario. They didn’t have a planner, I was a planner, and they needed somebody from Brooklyn. Q: You fit the bill on both counts. Spatt: On three things, tenure, a planner, and Brooklyn. Well tenure was a near thing. So, we decided that would be good for me. Q: I’m just curious—you knew you wanted to be back working for the city in some capacity? Spatt: I wanted to be back in government. I’ve always been—civic groups are government oriented. I never was in private. I never earned any money. I wasn’t in private that wasn’t my—not that my husband had so much money, but he too believed—he charged very little. He was a doctor. But he believed the same way I did. Actually he was a [Great] Depression child, I wasn’t. Anyway, I decided that I would work for that, but you don’t tell anybody that that’s what you’re going to do. Q: So I’m curious, how you and Mario, he’s doing his exercises you’re reading the Green Book, you figure out that Landmarks might be a good fit, then how do you take it the next step? Spatt: The next step, I called someone who was Beame’s, very important to Beame, and very close to me. Spatt: Oh before that, someone who was close to Beame, knew I was a civic person and Beame wanted to appoint somebody to the Parks Department [New York City Department of Parks and Recreation] to be commissioner. Q: And Beames knew you at this point of course because of the Cooper Square issue and because of your involvement in City Planning? Spatt: Yes, and the staff knew me. But he wanted to appoint this commissioner of Parks, I forget his name, the civic people didn’t want him. So I got a call from someone, I’ll leave his name unsaid and he said “Beverley”—would I call the Parks Conversancy, he said, “You know them all, you were a good reputation among them, we want to set up a meeting with them.” They couldn’t do it themselves. I said “I’ll try.” I mean, I’m willing to try. I’m not going to make the decision for them. So I called ahead and they met with this said person, and I guess they must’ve agreed that this commissioner could be appointed by Beame. So therefore, they knew I wasn’t a loose cannon or anything. I would try to do things right. I had nothing to do with the decision, so that wasn’t it. So, I did tell them that I would like to be on Landmarks Commission. Q: Did you tell Beame himself or someone within his administration? Spatt: No, I told this person. Ellie Guggenheimer was in Europe, another commissioner was sick, they didn’t have a quorum for the Landmarks. Nobody knew—you never tell anybody—nobody knew I was interested, and it was a low paying job. I think it was twenty-five thousand, because it was a “part-time” job at that time. Q: Part time in quotes [laughs]. Spatt: So people didn’t want it. Politicians and others, they want a lot of money, but I didn’t mind. I was only getting fifteen thousand at City Planning and I worked all day. Anyway, they didn’t have a quorum and—I didn’t know anything, I hadn’t heard anything. Evidentially, they didn’t want me, the Landmarks Commission didn’t want me. Q: The commissioners themselves had somehow had a conversation? Spatt: Not they, no, he must’ve had conversations, but—oh excuse me I’m wrong. That’s when I was on City Planning Commission. Q: Which is still being built. Spatt: —which I knew all about because I was the League of Voters and we discussed the third tunnel. So that’s how I got on City Planning. On Landmarks, this person must’ve recommended me to Beame, and Harmon, who’s very, I don’t know what to say, responsible, he resigned like a damn fool. Q: I read that—maybe this is wrong, but I read that he thought he would resign and perhaps be reappointed. Q: And he thought he might be reappointed. Spatt: Now I knew Harmon—he’s the only person I ever knitted socks for other than my husband’s argyles—we were on the same side, and actually, when they didn’t have a chair, who was it? [Charles A.] Platt left or somebody left, the chairman of Landmarks left, even though I didn’t vote for Lindsay’s policies, Bob [Robert W.] Sweet who was the deputy mayor—but you know, they trusted me. Even though they didn’t like me they trusted me. Bob Sweet called me down, he was the deputy mayor, and he said, “Beverly, who do you think should be the chair of Landmark Preservation Commission?” And I said, “Well, other than myself, Harmon Goldstone.” And they appointed him. I really meant it. He meant from the City Planning because we knew the law, we knew about landmarks, so it was natural somebody from City Planning would go over there. So they appointed Harmon. As I said, Harmon resigned like a gentleman so I got a call. He asked me to come down and be appointed, so I was appointed chairman of Landmarks. However, the landmarks groups, the small groups, they weren’t happy about me being appointed. Q: Why do you think they weren’t happy? Spatt: They wanted some of their own. Spatt: Municipal Art Society wanted somebody of their own. Spatt: They weren’t helpful to me and they weren’t happy, no. They wanted somebody of their own. Of course the politicians wasn’t—anyway, I went down and Harmon was there. Harmon was a great person. We were close even though we were both on City Planning and we all had voted together except I dissented more. He was there my first day. He introduced me, he told them all about me, very positively. Q: To both the staff and the Commission itself? Spatt: The whole—to the, yes. He was really very nice. He said very positive things about me and then he left in the middle of the meeting. No, this was a staff meeting and he left and he said I’m turning it over to Beverly, everything’s going to be great. Then I took over. I immediately started like I had been there a hundred years and that was the beginning. Q: There are two tracks I’d love to talk about with your time governing the Commission. There’s the Commission itself, and then the staff and the day-to-day operations, so if we even started talking about the Commission itself. Spatt: All right, we had a wonderful commission. Let me say at up to this time it was a part-time commission. Someone told me that they used to serve tea. I’m not sure that’s true. Q: I heard that, yes. Spatt: Yes Elisabeth Coit, I have a whole list. The people who were good, there were really excellent. Paul [E.] Parker—they were excellent. Hawthorne [phonetic], he was black, excuse me, he represented real estate but they were all preservation orientated, okay? They were not political. My vice chairman was somewhat political, leave his name unsaid and it was very fine commission. They accepted me and they had roles to play. When I get to my programs, Paul Parker did one of my—he went on the radio and did five minute talks about landmarks. All my commissioners went out to the areas. They didn’t just sit at the office in here. They went out to inspect. I had a car. I asked for a car. They went out in the car, went out to inspect. That’s where you saw that thing, oh there’s those commissioners again. They went out to inspect. In other words, they had to be involved. Q: Was that something you mandated? Spatt: Yes I mandated it. Well, when you say mandate, I asked them to do it. Mandatory is quite different. Q: That’s a good point. Spatt: But they were all preservation oriented and they were not political. Q: Why did you think it was important for them to get out there? Spatt: Well if we made decisions, we had to know what the heck we were talking about. Spatt: They were part of the decisions. I wasn’t the decision maker. In fact, one time I voted against them. Anyway, not against them, this is when I was a member. I stayed on after my term. I think Kent [Barwick] was commissioner. I’ll tell you about that later. Anyway, they participated, my vice chairman, leave his name unsaid, he was more political and when we got to the question of 82nd Street, they wanted to be landmarked, that block. Q: I think this is an interesting point to raise, could you expand on that for people—[crosstalk]. Spatt: They were very—they gave money to the Upper East Side Historic Council [sic], they were very involved in all—none of the community things, and they were wealthy. Q: Could you lay a bit more background? Someone that doesn’t know about 82nd Street—I didn’t know until I was doing research. Spatt: Eighty-Second Street is off Fifth Avenue and it did have good houses. We all went out to inspect it, my commissioners all went out with me. We felt that there were other blocks just as good and also there were blocks in Crown Heights, which of course they didn’t know that were magnificent. I don’t know if you know Crown Heights or knew it in in those days. Q: Not in those days, today I do. Spatt: They were mansions, they were just as good. To landmark that block alone was really doing that block a favor. Also they were Article 78 against us because they insisted—Article 78, you know? Q: No I don’t know. Spatt: Look up an Article 78 against the government, against the department to demand something I guess you want to call it. It never went forward, so I guess not. Q: So they demanded to be landmarked? Spatt: Yes, Article 78, and there was a developer, Bunny [Abraham] Lindenbaum, who actually I replaced on the City Planning Commission, his real estate people had bought the houses adjoining 82nd Street. I think they were buying the Doris Duke Mansion too at that time, that was part of it. He threatened—he was a big law firm, he was very active in city planning, had a lot going, he was very political. I personally liked him, but politically—anyhow, he threatened to sue us. So here we were being sued by the real estate people, and here we had Article 78 by the community. Well, the Commission, we talked about it as a staff. Staff was always part of decision making and we decided not to do it. I had an idea why not designate a Metropolitan [Museum] Historic District? I knew Tom [Thomas] Hoving and I said to Tom, “We’re going to be part of you.” And he didn’t mind. Q: And the museum wasn’t—am I wrong, was the museum included in this? It was included. Q: Tom Hoving wanted to run for mayor? Spatt: He says, “Beverly, I’d like to switch houses with you. I’d like to live in Brooklyn.” Well that would be [unclear]. He lived a fancy. I said, “Okay, if my family doesn’t object, fine.” But he didn’t run for mayor because he, Tom wasn’t the kind who would get it. It wasn’t that he was elitist but he really was, and he wasn’t political, so he wouldn’t get it. You know the boroughs wouldn’t come out for him. So he didn’t object the Metropolitan Historic District. So that would include 82nd Street. Q: So that would satisfy the community and what the community wanted. Spatt: Well we had a big hearing. It was when you had an office and we had a hearing room in there. The place was jammed. Ada Louise Huxtable said “Beverley you’re never going to get it through.” Well, we got it through. We all voted for it, we got it through. Q: But that story seems to be its so interesting on so many levels. Spatt: And Beame never bothered me. He never bothered me. Q: That was a question I had as well. Spatt: Never bothered me and I always gave him credit for everything. Q: So you pretty much did your own thing, no involvement from Beame or anyone in his administrations, and were able to move forward just following the Landmarks Law. Spatt: Because I gave him credit and I didn’t bother him and he got a lot out of it. The only time I was bothered was Grand Central [Terminal]. Everybody thinks that [Jacqueline Kennedy] Onassis got it, and Municipal Art Society, but it wasn’t true because the city had an appealed case, and they didn’t want to because, if they lost, it would’ve cost them hundreds of thousands of dollars. Q: If they lost the appeal? Spatt: If they lost and they were very afraid of losing. And Beame was the type to do this. He may let me do everything I wanted but on the other hand, they weren’t going to do this. Q: They weren’t going to do it because of the money and the fear of losing it? Spatt: They were afraid and don’t forget the very serious economic condition in New York at that time. One of our bonds defaulted. Actually Lindsay had, that was part of my dissent in city—Lindsay had used our capital budget for operating expenses. You understand the difference? Q: I do understand the difference. Spatt: In other words, to pay your salary, he’d take it out of capital, which I voted against. Of course Beame was against that too because he was an accountant. That was another way I knew him—I didn’t know him, but we were on the same side. Where was I? Q: We had started to jump to Grand Central but that’s a whole other—I’m wondering if we should just keep that—do you want to dive into Grand Central now? Q: It was such a pivotal issue. Spatt: They didn’t want to do it. So my counsel and I, my counsel was a very important part and I listened to her and we argued, Dorothy Miner. Q: Well, maybe we should back up one step and talk about you bringing Dorothy on. Q: Oh I was there. Spatt: Yes, if you could remind me write it down. Q: Okay I will. Dorothy was one of my professors at Columbia. Spatt: I could go get it now. No, I’ll get it later. Q: I will remind you, I’m going to write this down. Spatt: Because it really says it all. Q: But I feel that before getting into Grand Central, if you could talk about bringing Dorothy on. Spatt: Dorothy was this quiet person and she’s very quiet and little young girl—I was older—and she had good background and I appointed her as my counsel. Beame gave me staff, up until then there was no staff, very little staff. Beame gave me staff even at a time it was difficult. Q: So Beame realized the importance of Landmarks and he was willing to put more money towards it. Spatt: He gave us even more money because, I guess, I gave him credit and I gave him good publicity. Q: Did he give you the money when you first became chair or did he give you money when he saw, hey this is a good thing, this is something I should be putting more resources towards? Spatt: Well, let me go back a little. When I first came in, the first week or the first month, I found out that we were under Parks Department and Park Department made our budget. I was shocked and I got us out of Parks Department. Spatt: I may not be political but I know how to—turn it off. Spatt: I know how to get things done. Q: And why did Landmarks have to get out of Parks? Why did they have to do that? Spatt: Because they made our budget. Whatever they wanted we got. Spatt: Not just from Beame, this went on all the time from the very beginning. The previous people never thought it was important for us to have our own budget. And so, we had to make the budget. I told my director to make the budget. I know how to make budgets because I took it in my master’s. Do you have a master’s? Spatt: But nobody likes planning. I mean politicians hate planning you know that. We’re the lowest paid, the worst—[crosstalk]. Q: I don’t know if they like preservationists either [laughs]. Spatt: It’s very difficult being a planner. I told that to my students at Barnard. It’s very difficult being a planner. We’re very idealistic, we’re not political, it’s very hard. Anyway, so I told my director make a budget. Q: And your director at this point was Frank Gilbert? Spatt: Who was very good but you know, he came from this old group that did nothing. Q: You mean the old Landmarks Commission? Spatt: I went away for a week on vacation and I came back and there was no budget. I was furious. I made the budget myself and at some point I let Frank go. I felt very badly because Frank was a true preservationist. On the other hand I think I did him good because he went on to I think, the National Trust [for Historic Preservation]. He became council of something there. So I really did him a favor. It was a better place for him than in city government. Anyhow, I made mistakes incidentally, but that was not a mistake. On 82nd Street, my vice chairman, I wrote a report. I felt the people should know why we did not designate 82nd Street since it was such a hard issue so I wrote my report. I had staff but I wrote my own report. My vice chairman, who was a lawyer, objected to it, “Never write a report or it could be used against you.” When time came to replace commissioners, their term was up, I didn’t recommend that he be appointed and the mayor listened to me. I think I recommended an academic who was a preservationist. I think he was a landscape architect, which we needed. Q: Yeah especially since you were now—[crosstalk]. Spatt: Casa something or other. The only time I would say I was bothered was Grand Central. Dorothy and I had loads of discussion and I made an appointment with Beame’s deputy mayor. Q: Freedman? He was the other deputy. Spatt: No, no, Freedman was difficult. He was Irish, he was from Brooklyn. I’ll remember his name. Q: I’ll jot a note down. Spatt: It was really up to the mayor. Q: Exactly, but I’m wondering. Spatt: They take the credit. Landmarks never gets the credit. Q: Yes. No Landmarks doesn’t get the credit on that. I’m wondering what the dynamics were when you’ve got these big cases and you’ve got Landmarks moving ahead and then the civic organizations doing this work. You’re both working for the same cause, save Grand Central but what’s the dynamic between? Spatt: They never consulted us. They took the credit for everything. They certainly took the credit for Grand Central it was relay our commission that persuaded the mayor to appeal otherwise they’d have no case. Spatt: And they didn’t have an in with Beame. Q: Yes that’s a good point. Spatt: Also, I knew Bernie [W. Bernard] Richland. Spatt: I called him afterwards and I said “They’re going to appeal it.” And Bernie liked me. Not as a politician, but he liked me. He also knew where my background was. He put his best people on it. He could’ve put junk on it, He put his best people, his lawyers. What’s their name? Well you’ll find it if you want to know their names. In fact one of them, the woman became a judge, the other one is still there, but they really supported us. They really, really did. We were taken over, not taken over but Dorothy was involved but of course with corporation counsel’s office. It wasn’t Kent Barwick and their group, but Dorothy who was my counsel and corporation counsel worked together, but we didn’t get any credit. I ignored it and we were continuously involved. In fact, during that time my son had given us a trip to Bermuda. He didn’t have any money but one of his clients evidentially had a thing, so instead of his commission, he gave us a trip on a boat. So I was away for a week and everyday I was on the phone with Dorothy because the case. But it was not—they never involved us, they never asked me to come to their meetings with Jackie Onassis and the others, or the newspapers. They never said anything about us, the Commission. So it was not us that did it. It really wasn’t. But Dorothy was the one who was involved—she was my counsel, so she of course was involved with the corporation of council’s office continuously. Q: What was it like at that point? The case hadn’t gone to the Supreme Court, so the Landmarks Law was still, there were still challenges. Grand Central had huge legal challenges to the Landmarks Law. What was it like during that time period? Spatt: I’ll give you one of my speeches. We won the appeals case in the state. We lost [Irving H.] Saypol, Saypol of course was the one who put—I’m not going to say the word guilty—the spies in the chair. Spatt: Saypol was involved in that. He turned us down but the [New York State] Court of Appeals voted for us. Dorothy was very involved in that, but of course, we don’t get any credit. It isn’t that I wanted credit but I wanted the Commission to get the credit, its very important. I’ll give you something on that. What else do you want to know about? Q: I guess Grand Central raises—I mean it was such a huge issue and maybe I’m wrong, but it seemed like Grand Central really was the case—that not solidified, what’s the word I’m working for? Spatt: It really cemented the Landmarks Preservation Commission. Q: Cememted. So I’m wondering since Grand Central hadn’t gone all the way to Supreme Court. You were there while it was going back and forth, one way, the other. When you were at Landmarks hearings was there a concern about what would happen? Spatt: We didn’t have a hearing on Grand Central. Q: Not on Grand Central but even other cases that were coming back, at the back of your mind was there always this thought of—? Spatt: Yes, because I was teaching land use law at Barnard and part of land use law is also preservation. New Orleans and other places had cases before us. Was there concern in my mind? Well, you’re always concerned I mean, [unclear] there was a concern or the Commission was. But the commission felt that it should be taken and we didn’t stop what we were doing because of the Grand Central case. We designated other things and fortunately we were supported by Beame and we were supported by The New York Times, and we were supported by Channel 13 and Channel 2—they had me on their thing all the time. Q: While you were chair? Spatt: Yes, when I was at the City Planning. In fact I would get the letters to the Commission form people from Texas telling us we were right in doing certain things and the people were behind us. There was nobody was against it. Q: Against Landmarks as a concept? Spatt: The real estate was against us all the time. They were always against us. Ask me. Spatt: That was not the real estate, that was 82nd Street people. Q: But I think that’s really interesting to have pressure from people, from the general populace where normally you always read, it’s the real estate that’s always pressuring preservation. To me, reading that story and realizing it was the people who were pressuring the committee was just a completely different situation than you normally encounter. Spatt: Well don’t forget the Commission as made up of professionals, not politicians. Q: I think that’s a great point to emphasize. Spatt: It’s very important. The Real Estate Board never directly pressured me. Developers would come to our hearings and be against things but the Real Estate Board per se never pressured the Landmarks Commission. Q: So it was more on a case-by-case basis that you have the developers come in? Spatt: Don’t forget, we had a good reputation, that’s very important. Q: That’s something I think too is very interesting. Spatt: Oh, Beame gave me money and also appointed a public relations person. Spatt: And when there was a designation or when there any problems and the fellas needed any helped, she’d go down to—we had what was called room nine in City Hall—and she’d help them. Q: The PR woman would? Spatt: She’d give them the facts, not try to prejudice them, but they had to write articles right? She’d give them the facts. So it was very good for them, yes, and it was good for us. She was nonpolitical, she actually came from the League of Women Voters. Spatt: Yes, she was civic minded. I appointed her, she was looking for a job and she was very good. So, if you have good people and they’re not trying to influence you but they’re just helping you, giving you the facts, it’s a plus. Spatt: And as soon as Margaret Tuft, my preservation chairman of staff, came in and said “Beverly, the buildings aren’t there.” I said oh my god, so we went down and looked. There were no buildings. We had them in a yard, they were taken apart. I rushed down to City Hall to room nine and I said, “One of my buildings has been stolen.” All the guys came around me and that was the news of the day. I’ll show you. Q: Beverly, I have to say that’s quite a memorable announcement [laughs]. Spatt: You know, I enjoy government. I was a government person, I enjoyed the public good and things like that. The New York Times had it on the front page. Q: Quotation of the day, “Someone has stolen one of my buildings.” That’s so wonderful. Not that the building was stolen, but the quote is wonderful. Spatt: What does it say? Q: “Someone has stolen one of my buildings. This is Beverly Moss Spatt, chairman of the Landmarks Preservation Commission, disclosing the theft of the 126 year old cast iron façade”. Spatt: It was actually a wino, he stole the material, you could sell it. Q: Oh so he stole it, oh I didn’t realize that. How was that found out? How did the police investigate it? Spatt: I think Margaret or one of the preservation staff went down there to do something, and they found there’s nothing there, or maybe there was a little stuff left. She came in very excited. The staff didn’t have to knock on my door, they rush in. It was an open commission. It was an open thing. Q: That’s something I’d love to talk about. But just with the press, it brings something to mind and that’s the whole idea of the press’s attitudes toward perseveration. We’re talk about your time, but I’ll just put it in context by saying today I feel the press isn’t very friendly towards preservation. What was it like when you were—can you talk about that just to get it on the record? Spatt: What do you mean? Q: It sounds like The New York Times, the press was very pro-preservation and they were behind the Commission. Spatt: I’m trying to think of her name but I have the articles. I’m throwing away things. The New Yorker would have a column about what was going on. The media was for us. When we designated the—I don’t say I, when we designated the big building, Willamsburg Savings Bank, the biggest building, the press all came down. It was on the radio, it was on the television, they had the cameras, they had everything. In other words, they became interested in preservation. They didn’t know about it before. Q: What difference do you think that made in the mindset of New Yorkers? Spatt: I think for the first time—not just the elitists—the first time people knew there was preservation. I remember once—turn your thing off. Spatt: What was your question? Q: I just got distracted by that, but I just had been thinking about how having the media be interested in preservation—how powerful a tool that could be, an education tool and how powering it could be in some ways too. Spatt: Well, when I was on the City Planning Commission, for the first time, the politicians recognized—the electable—that planning was very positive, that they could get votes. The same way with preservation, for the first time they [unclear] they realized that—and I’m not talking about the present council—that they could get votes. In other words, if the people wanted something and it was good, they could get votes. Spatt: I don’t know if that’s answering your question. Spatt: They didn’t know anything about preservation. No one knew anything about preservation until I came in. The people who started it, Platt and those people, they were good but they were part-time and they were part of that group. I would say they were good people but they were not that involved. I made it a citywide agency. I established contacts with commissioner of [United States Department of] Housing and Urban Development [HUD], the city Real Estate Department, with all the different departments we had. I established relationships with them. Q: What did you see as the benefit in doing that? Spatt: First Houses we designated, that was public housing. I got friendly with Ira [S.] Robbins—he was older than I was and things. But they were more than happy to meet with me and I was a young girl [laughter] and I was a professional and a civic person. I guess it was different than they were used to. Q: So you really went out of your way—you saw the value of working closely with City Planning and working closely with HUD, a federal agency, not just keeping it within the city, but really using all of the resources of the various agencies that were out there. Q: How do you think in doing so, what do you think you gained? What do you think that you were able to accomplish that you wouldn’t have been able to had you not done that? Spatt: When we wanted to designated, like First Houses is a public housing, they might not have wanted it because they wanted to make changes and things like that, but I got, when I say friendly with Ira Robbins, who was one of the chairs of Public Housing, he went along with it. In other words, they supported us, the departments. I’m not talking about particular people but they supported us. Q: Do you think that the dialogue was helpful in helping agencies to understand what preservation was all about? Because in my mindset, people always fear preservation because they think we’re going to say no—you can’t do this, you can’t change that. But do you think by having a relationship and let’s say, knowing HUD and explaining what preservation’s all about that you were able to eliminate the fear of perseveration? Spatt: Well part of our programs, and I’m going give you something—let me begin. This is what I carried throughout, my bible. Q: Flowchart of planning process; problem, collection of real data, summarize data, make autonomous forecasts, adopt objectives, design proposals, make contingency forecast, evaluate and adopt proposals, and set priority schedule. Spatt: That’s what I did. Q: But one thing, just putting this in context, it sounds like—I’ve been reading, you did so many things as chair of Landmarks; looking at the outer boroughs, and getting federal funding for the grants program. One thing you said struck me is when Frank Gilbert didn’t make that budget and you made that first budget for Landmarks, how you saw the allocations of funding and how you built an agency workspace, where the money’s allocated. How did you see it working? Spatt: Well obviously it wasn’t working; first of all it was part time. I worked full-time even though I got a part-time salary. There was work to do. Spatt: I looked at the agency, I looked at the past and I looked at the present and I looked at the future, and I determined what we had to do. I came up with eighteen programs, [unclear] nineteen programs. I’m going to give you this material, you can xerox, but send it back to me. I don’t know when I want to get rid of this actually. Q: Thank you, I will. Spatt: It was a good staff. Q: When you initially signed on. Spatt: Landmarks, it was a good staff. It was a small staff and I realized that we needed more of a staff. I think Harmon was good. Q: Harmon was director of research at that point? Spatt: Harmon Goldstone, he was chairman. Q: Oh, chairman at that point. Spatt: He was good and he had a good staff and they liked him, which was very important. Even though he was forefathers of Brandeis and [Benjamin] Cardozo and everything, but he was not like that. Sure he was an elitist, he had a butler, he lived alone, but he was a good person. He was interested and he didn’t close people off. I must say Harmon left me a good staff. Spatt: I was very grateful for that but I realized in order to really function as an agency, one was the budget, we had to do our own budget. Two, we really needed staff. Then I got the money for the staff and I determined what didn’t we need. We never had a counsel. Q: And that’s how you found Dorothy, where did you find Dorothy? Spatt: Actually she was recommended by someone on the staff of the commission. Q: You brought on the counsel and what other positions did you see needed? Spatt: We got a PR and we got somebody for—Steve [Stephen S.] Lash volunteered at the research department, so we had another person there, and we got a couple more staff people. We got a PR and we got a bigger budget. That was the necessary thing. Then, I don’t know, I had it all written down. Q: Where to start about what you did? There’s so much. Spatt: I had to understand the evolving role of Landmark Preservation Commission, and I had to go back to the original purpose of the landmark perseveration. It really was a concern of the people [unclear] for their areas, the communities, and the disappearance of our landmarks. I always think of landmarks in our commission as a continuum. It has a past, it has a present, it has a future but you have to understand its past. You have to understand where you are and where you want to go. Maybe that was part of my planning experience. I knew you just can’t come into an agency and do nothing or just do what comes to you at that particular time, you have to be proactive, and the Landmark Commission was not proactive. I don’t know, [unclear] says in January I was appointed but I wasn’t a historian. That’s important. I never, and neither were a lot of the others, but I never considered myself an architectural historian. I listened to my staff. My staff was part of the Landmark Preseveration Commission. It was an open commission to the staff and I consulted them. Did I always agree with them? No, but I certainly felt they had a lot of good points. Besides, they were preservationists. I didn’t come in as a preservationist or as an architect so I did listen to them. That’s very important, to listen to your staff and it’s very important to have the staff know they’re being listened to. Anyway, I say here, I came here to this small, conscientious agency from a completely different milieu. My experience was with a planning [unclear] and direct media involvement of the worthiness of government. Direct and immediate effect on the building environment. The Landmarks Commission on the other hand, was relatively isolated from the operation of city government. It was totally isolated with just the specific business of designating landmarks threatened by a range of urban realities. The first order of business was to analyze the Commission, analyze all of the federal and state laws and regulates directly or casually related to come up with a comprehensive plan for the next ten years. I came up with a plan for the next ten years. Where we were, where we should go and how we were going to get there. What we discovered in our analysis, that in the nine and a half years of Landmarks Commission and what it had done, that no other agency had done—that was we were preserving some neighborhoods. Of course, we weren’t preserving many neighborhoods, we were preserving neighborhoods that this small group wanted preserved in Manhattan. That made it one of the most important tools in government. Q: As soon as you came in. Spatt: I felt that Landmarks Preservation Commission was one of the most important tools in government. To tell you the truth, it did become one of the most important tools in government [laughs]. Q: And it’s something that you didn’t realize while you were on City Planning? It kind of took this analysis of realizing how powerful in fact it would and could be. Spatt: Yes, I didn’t realize it until I really analyzed our agency. Where we were, where we had been, we hadn’t really been far enough. It wasn’t a planned thing to save neighborhoods, though I was always for communities. My portfolio at City Planning Commission was to come up with community planning boards. That was my portfolio. So I was very involved in communities and saving communities. But perseveration, they didn’t really plan to save communities, it was unplanned consequences of it. It had a direct effect and the effect was greater than the parts. Ocean Parkway, the federal government wanted to put a highway down—they have a right to put an interstate highway down Ocean Parkway. Do you know Ocean Parkway in Brooklyn? Q: I do. I ride my bike down it. Spatt: People didn’t want it, our commissioner didn’t want it. So we called, I think it was the [United States] Department of [the] Interior. They came down in with their suits with their Interior jackets and these big, tall men [laughter] and there we were, women. My executive assistant was a woman, Adele, and my counsel was a woman, and these big men came down. My staff, Margaret Tuft, was a woman—she was there because she was head of preservation. I guess Alan Burham, he was there. Margaret Pierson [phonetic] came in later. We talked to them and we told them we didn’t want it. I also pulled on them—you have to know all the federal laws and regulations of the national Federal Register. Do you know what the national Federal Register is? Spatt: It’s the National Register, you know what that is? Federal Register comes out every week and it has all the rules, regulations and new laws that are going to be passed and things like that. Every week I got the Federal Register and read it and I had some of my staff read it. So I knew what was available and there was something called the [Department of] Transportation Act [of 1966]. I think it was 1966 and in it Section 4(f) said, that if you were going to do something, federal government was going to do something and there were landmarks there, and they had to mitigate the effect on the landmarks. So we designate Ocean Parkway. People wanted, we designated it and they didn’t put the highway there. Spatt: The federal government wanted it, and they could have done it. Q: —the federal government wanted it but Landmarks was in a sense the only agency that could put a stop to it. Spatt: Well I guess others could’ve said section 4(f), nobody knew about it. I don’t think the preservationists even knew about it. Q: But that’s something, just reading about what you’ve done, it’s just remarkable [crosstalk]. Spatt: Just look at my file, I have all the laws. Q: But see how you know this. But that’s something that really, Beverley I was really struck by how you were able to get federal funding in support of Landmarks programs. Spatt: We also pulled federal funding because we knew all there was available, the Federal Register, [unclear] Development Act. Landmarks didn’t get anybody out of that. I read the act and it talked about it couldn’t be for landmarks, for preservation. So I went to John [E.] Zucotti, I said, “Look.” I had breakfast with him and actually he made me pay the bill. I told him, I said “Look, I want something for us, for the Commission. I want some of that CDA, Committee Development Fund money.” Sometimes we women have an advantage that we don’t recognize, but I also said something terrible to him which I won’t repeat. Spatt: What I would do to him, if I don’t get the money. Well, City planning was a big agency. We were nothing. Anyway, we got the money because I had read the laws. There’s a lot of laws. There was a law that came in later. Spatt: I had all the laws here, and all of them categorized, everything. Spatt: And I read them all and I read the National Register. Of course when Dorothy came it also helped. Spatt: But the chairman had to read the laws, because the chairman is the directing thing. Spatt: Anyway, so ask me another question. Q: Well how important—the city of course had such limited funds at that point and here you were able to get additional funding through federal sources. What impact did that have on the Commission? What did those funds enable you to do, [crosstalk]—that you wouldn’t have been able to do? Spatt: Well the city had limited resources. Let me say that, the fact that there was a recession in some ways was good because people weren’t developing and building. I was speaking at the architect’s—I went out speaking—and I told them about the federal tax reform act. If they were designated and did some rehabilitation, and they got money. Q: And no one really knew about it. Spatt: That’s how Union Square redeveloped. I’m not saying I like everything that happened but I’m saying I persuaded the real estate people that it was an advantage to be designated. Q: Did Union Square get started then while you were chair? Was that when—? Spatt: I’m not talking about the square itself, but the buildings around Union Square. We designated some of those buildings and got money. It was an advantage to be designated at that time. Now I don’t know but I think—also I realize, let me say this, my first objective was to make the work meaningful, responsible, and responsive to the community people who are our partners with preservation. That was my first objective. My second objective was to make landmark preservation part of a balanced program of community development and an integral factor in the overall process of growth and change. Third objective was to institutionalize as operations and programs within the total government structure and underlying this was the realization only through conscientious preservation continuity can the quality of life be preserved throughout New York City and cities throughout the country. Parenthetically, it was a good time for preservation in spite of limited fiscal resources because our progress had more to do with citizen resources than capital expenditures. Q: Can you give examples of those? Spatt: I’m going to give you this whole thing. Spatt: First let me say that in order—this is how we used citizens. I also have my proposals here, grants from private sources and for some reason we got it. We wrote proposals, like The Dakota needed a roof and it was cup [phonetic] roof and they said they didn’t have the money for it. Anyway, so we asked Rockefeller Brothers [Fund] for a grant to help us with preservation. Because it’s true, some of the people really didn’t have money. We needed funding. Spatt: Well, you could call them capital projects but they were really restoration projects, rehabilitation. So I sent out proposals and we got over a million dollars from private sources, not form the government—New York State Council of the Arts [NYSCA]. I’ll give you this. Q: Oh wow this is interesting. So you had specific projects, some you were requesting money for additional staff [crosstalk]. Spatt: I’ll show you the projects and then we asked Rockefeller Brothers to study the economic and legal mechanism of preserving buildings within historic districts. Because you know, this is a problem. I recognized it. Not everybody has money to preserve. Q: That’s a great point. Spatt: Then I went to the banks [laughter] and Bowery Savings Bank, when I worked for the chair for the Commission—City Finance, I got a job, I made eight thousand dollars as an assistant to the director. He was very good, he was an academic and he let me come to the meetings with these big banks and like a dope, naïve, I talked [laughter]. I don’t know whether I was supposed to talk. McAldridge, Earl McAldridge [phonetic]. He had been a controller under [Fiorello H.] LaGuardia. I didn’t know him but I asked for a job, I was willing to take very little money, and I was a League of Voter, and he appointed me his assistant. He took me to all the meetings and he—Hoffman from Rosehall’s [phonetic] administration, all these big shots were there and me, Beverly, I talked [laughter]. And Joe Magodic [phonetic] never stopped me. I am very grateful to him. Evidentially, there were all these big people, here was this academic, League of Women Voter woman. Q: What do you think it was Beverly? You were always outspoken about what you believed in. Where did that come from? Spatt: Where did what come from? Q: Just being able to be confident enough to go and speak your mind at these hearings in front of these people. Spatt: Maybe you’re born that way. My family was very involved in Brooklyn and I was a daughter which caused me problems and didn’t cause me problems because I was a Morse [phonetic] girl, which is good and it’s bad. On the other hand, I had two sisters, and I more or less did what I wanted to. When I wanted to go to boarding school, I told my parents I wanted to go to boarding school. They said “Why?” And I said “I don’t know, I want to ride horses.” I was a horsewoman. So they let me go to boarding school and then I decided I really didn’t like boarding school because here I was a middle class girl and there they were all from divorced families, in those days, and diplomatic families, and here I came from the good middle class family with middle class values from Brooklyn. I decided this wasn’t for me, so I left. My parents didn’t say a word, they let me leave. But I was a good girl. In other words, I guess I did my own thing. I didn’t do things negatively. I was good in school. I guess I had good parents and I was close with them. I respected them and I think the respected me. You’re born a certain way and I was the youngest. I guess you’re born a certain way. That doesn’t mean I didn’t have problems. Don’t get me wrong. My first term in Brown [University] I was really lonesome. I wasn’t going to run away like I did from boarding school because that was college but then I adjusted to it and I loved it. It was a woman’s school. Q: Brown was a woman’s school? Spatt: Pembroke College and Brown University. Q: I didn’t realize that. Spatt: We had a dean—I’ll give you the speech I made at the reunion. They were great. They really believed in women. Spatt: Anyhow, so I went to the Bowery Savings, right to the president. Q: Did he remember you? Spatt: And I went to Independent Savings Bank and I went to East New York Savings Bank and I said to him, East New York’s in trouble, and I gave him a whole spiel about how designation helps neighborhoods and he gave me money, not a lot. I went to Housing and Urban Development and I got twenty-five thousand from them. Q: Wow. So you and your staff at that time and the Commission, no one was sitting in the office waiting for things to come to them. You were proactive, you encouraged your staff. Spatt: Proactive. I was in the Commission full time [laughter]. Don’t get me wrong. Spatt: My staff helped me write my proposals. Don’t think I wrote every single thing. I wrote my report but the proposals, the staff—we all worked on it. Then, this was very important, went on for a long time until Kent came in and he didn’t continue it. Q: Can you talk a bit about—this is the study to develop new legal and economic mechanisms for preserving buildings. Spatt: Well, I’ll give you a proposal [crosstalk] because otherwise we’ll take all night, which I don’t mind. Q: Why did you think this was so important? Spatt: Because it costs money to preserve, there’s no doubt about it. We wanted to preserve neighborhoods. Like I said, even The Dakota complained that it was too expensive. So we did studies; census studies, factual studies, economic studies. I hired about four different people; an economist, Berger [phonetic] from Columbia [University] who was law professor there, I had him do the legal questions. We came out with big volumes determining what the economic and legal mechanisms might be. Of course then you also have to have social factors involved and we had a timeline and things like that but it was discontinued after I left. Q: So the economic thing—were you really trying to find out what the carrot was? Spatt: What the cost was and what was available. All the dimensions. All the dynamics of preservation. This was really all the dynamics of preserving. Spatt: We had people from Rutgers [University] who came in. Everybody was happy to come in. That’s a very interesting point. All these academics or consultants, they were so pleased to be part of it. Spatt: I asked them, and I was an academic myself, and if they didn’t know me personally, they knew of me. Q: Do you feel also—everything you were doing was new in some ways, taking the Commission to a new level. Really analyzing things and thinking strategically about to how to position the organization. Do you think that’s something that also enticed academics to be part of this brain trust, if you will? Spatt: Well, they had never heard of it, of preservation, I don’t think. It was a challenge to them. Also a lot of them went on—one of them wrote a book–it was an advantage to them to be a part of this emerging thing. After that, The Wall Street Journal asked me to write an article, it was a whole big page. It was a big thing and they wanted to be part of it. It wasn’t that they were getting paid very much. Spatt: George Sterling [phonetic] who was head of planning or something, maybe economics at Rutgers—he came in. They all came in. Spatt: I didn’t say that. Spatt: You’re saying it better than I.
Q: But would you agree? I don’t want to put words in your mouth. Spatt: Yes, I agree. I agree and I think they realize we were a professional agency. Staff was professional. The Commission was professional. I was pleased. I had a planner write a—he wrote a timeline and the different areas that we had to go into, and then all these people came in. I mean, Berger from Columbia—I don’t know if you know him. I don’t even know if he’s still there—but all of them taking time out for this tiny little agency [laughter]. Berger had a plan, with Sterling—but they went on. They wrote books. Q: That would be interesting, Beverly, to see a listing of everyone who you were involved with in the Commission with what they wrote about. Spatt: They all went on. I had the most difficulty not going on [laughter]. Only because I was in government and government was afraid of me. Then the federal government—we were doing so well that the government asked us to run the federal conference. Thousands were there, we ran it and Adele and I went to Washington several times. We didn’t just want to conference but we had to lay it out. Q: And it was the conference specifically on neighborhood conservation. Spatt: And this was an annual conference and we had never been asked to do that. So we had to get funding for it. Here was money we got from the National Foundation for the Arts [NEA], Rockefeller Fund, all these. Q: These are huge sums of money, over a hundred thousand from the NEA, Rockefeller, NYSCA HUD, forty-thousand from HUD. These aren’t inconsequential sums. What was the takeaway form that conference? What was it that you wanted to present? Spatt: It certainly made New York the preservation city. Before that, it had been New Orleans or Virginia but it certainly made New York preservation city. Q: Do you think it was surprising presenting at that conference and having people think of New York as a preservation city? Was it not in the national—it had one of the earlier preservation laws. Spatt: Well I thought of it—prior to that, the National Trust had a meeting in Nantucket, about ten people and they invited me in representing the Commission. I always represented the Commission, not Beverly Spatt. I hated Floyd [phonetic] I was so scared. But I went. Q: For a good cause [laughs]. Spatt: I went and it was very interesting because some of the people who came, I’ll leave the names unsaid, but they go back generations and they let me know that. You know, to the [American] Revolution. I said well my husband’s family goes back that far too [laughter]. Some of the preservationists were very elitist. But anyway, but they recognized that New York was important so they invited me. To the conference, everybody came, even mayors and Beame opened the conference. Spatt: So that was great for him, wasn’t it? Beam opened the conference. Q: Absolutely. You put him in a national context. Spatt: Ada Louise Huxtable talked, she was there, and I talked, it was a great conference. Q: What were some of the specific New York issues that you and the Commission had been working on that you really wanted to present in that national context? Were there things that you thought you were doing that were so far ahead of the curve that Cleveland needs to know about this, New Orleans needs to know about this? Spatt: I don’t have the date of the conference there do I? Spatt: No, everybody spoke, it wasn’t just I or our commission. Other people spoke, National Trust spoke, so it was collegial. That’s very important. Q: But were there certain things that you were doing here in New York? Spatt: Well they knew what we were doing. Spatt: They knew what we were doing. Q: How were they aware? Through newspaper articles and media? Spatt: Because we had programs, they knew about our programs. They knew we were getting funding and they knew what we were doing. [Unclear] Theodore Roosevelt project. We did the Theodore Roosevelt project and a whole block changed. It was rehabilitation. It was a block project, all the people participated, they changed their facades. They did everything, we planted trees. But first we had to get Theodore Roosevelt’s Birthplace’s permission and they came along with us. They were very pleased that we were going to do their block. So that was a national kind of thing because they had—their bicentennial and everything. So they all knew and let’s see, public education program. Q: This I think is so important. Do you want to talk about this a bit more? Spatt: That was a program and I’m going to give you my programs, my commissioners were involved in that thing. I don’t remember which one was this, but we celebrated the end of this program. Spatt: I had Beame there, he opened it. Q: On east 20th Street, kicking it off? Spatt: So he got the credit for that. Public education program. That was very important because people didn’t know about Landmarks Preservation Commission. If you’re going to work with the communities—I guess that needs dusting. I give my woman one hundred dollars but I don’t know how to clean. I only clean my bedroom and the kitchen. Next week I’ll clean the dining room but I give her one hundred dollars for two, three hours. That’s good. She’s very nice. I’ll have her do that next Saturday. I have her every Saturday. My commissioners were involved. We needed a public education program. You know what that is. I won’t go into that. Q: If you can for the record. Spatt: People had to see what landmarking was about, preservation, when you were a landmark then you had to be preserved. They had to understand the dynamics of it and what it meant, the costs—everything about it. My commissioners were involved and Paul Parker, one of my commissioners—well, first of all, I asked Barry Willing [phonetic] to help us. When I got into the Commission, I called up someone I knew who was in public relations and I had known was involved with Leonard Garment who was the assistant to [Richard] Nixon, but he wasn’t the Nixon type. Anyway, I knew him from the neighborhood and he knew I was League of Women Voter and everything. We sat down together and tried to figure out what exactly we needed. He helped me, he really was a help. He helped me come up with some of these programs, TV spots. Q: But what was the messaging you wanted to get across? Spatt: We wanted to tell them about landmarks, how important that it was, that it was important to the neighborhoods, to the city, and we wanted to explain what landmarking is. In other words, not in a pejorative sense, which was thought of, but in a positive sense. In order to do that we—you saw the poster outside didn’t you? When you came into my house. There’s a poster outside of my house. Q: No I think you opened the door before I even could spend too much time. I’ll look on the way out. Spatt: We came up with posters like that. Then TV spots and Paul Parker did the TV and the radio spots. The radio stations gave us five minutes. Q: Five minutes of free airtime? Spatt: Every week and Paul did the spots. Q: So would he focus on a new building or a new issue? Spatt: On buildings, on landmarks, on all the things we wanted to get across. Q: I’d love to get my hands on that. Spatt: In other words, the commissioners really participated. We did posters and the posters we got them up all around. We did slides, we did booklets on preservation which we gave out to communities and to government. We did landmark maps. Spatt: You get on the National Register, you’re eligible for funding. Incidentally, I think I have it here. I felt that all the landmarks, our districts had to be on the National Register. If they’re on the National Register [of Historic Places] they’re eligible for funding. Incidently, I think I have it here, I felt that all our landmarks, our districts, had to be on the National Register. If they’re on the National Register, they were eligible for funding. Q: Did you make a big push? Spatt: The mayor had to ask, so I wrote a letter to Beame and I asked him to put all our districts on the National Register and he put them all on the National Register. Spatt: We requested them, they put them up. Q: Something that has not continued since. That has—has that continued since? Spatt: I don’t know. Probably not. Don’t forget we were not political. Q: That’s true. But this to me is so relevant today, what you were doing on public education and I say this because I was recently at the  Fitch Forum, which was all on legal issues. It was February fifth up at Columbia. The takeaway from the conference wasn’t necessarily legal issues but what everyone left saying was how can we as preservationists message what it is we’re doing. How can we make it again relevant to the community. Spatt: Yes, you go out. We went out speaking. Q: Could you talk about—because I think this is something people are struggling with and I’m wondering if you can relate that to your experiences in your tenure. How did you message? Spatt: You saw all the community groups I went to. Did you see my resume? Q: I did, I did. Everyone. Q: Oh so it would be self-monitored by the community itself? Spatt: Yes, we came up with booklets on how to. I know that later on, they did that for the Upper East Side District I think—what the façade should look like, what the windows should look like. We did a program and we wanted the community itself to know how to monitor. So they would report to us and tell us because it was important to them. So that was another program. Q: So you felt the effects of that, you had community members calling in and saying what was being done. I mean was this also for pragmatic reasons? Spatt: Well they would work with me. They would work with Margaret’s staff and tell them that there are violations here and things. Margaret’s staff would be out monitoring with them but we also gave out little booklets on monitoring in terms of their own district. Q: The fact that money was so scarce in some ways, what impact—that’s amazing to have community people out there taking care of their own neighborhood. It frees up staff time in some ways—I’m assuming, maybe I’m wrong—but to do other things and focus on other issues. Was that also a concern of yours at the time? Spatt: They wanted their districts to be good. I think there’s another program that explains it. Let me see, oh, demonstration project. We did a demonstration project for commercial buildings within historic district. I think we used Court Street and another street. We actually did a project with the community, a demonstration project, how to preserve the district. We had surveys, it was professional and the community was involved and Court Street did change. Q: How so? Can you describe for someone who didn’t know? Spatt: They put up good facades—they all were involved. Spatt: They were forward because it helped their streets. Q: How do you think—I am a preservationists so I fully believe that a cleaned up neighborhood, healthy looking buildings does make a huge difference but could you talk about that a bit more? Spatt: How you could persuade them? Q: Yes, how you could persuade them. How did they see it? Because this is kind of a new concept that you’re out there talking about at that time. Spatt: Well we went out to the communities, some of my commissioners would go with me, my staff would go with me, and we would talk to them. We invited—when I say invited I don’t mean that people couldn’t come, but we notified the real estate people that we’re having a meeting. Real estate people are very important. We notified the banks, they sent people. We notified the residents. We notified anybody who had and interest in the community, we had at the meetings, plus our staff and a couple of the commissioners. The staff talked and we talked, they had questions and answers, that’s how we did it. They all became informed. Preservation became very important to them. They realized that we were an agency that wanted to help them, and we were an agency that wanted to involve them and they were our partners in decision making. Q: That was incredibly powerful. Spatt: Also, just to give you an example, the Commission was totally open. You didn’t have to make an appointment with me. Spatt: They walked in and they were allowed to speak to the staff. Now, they’re not necessarily allowed to speak to the staff, I understand, but they didn’t have to go through me. They would call Margaret Tuft, Paul or whoever, Alan, or somebody in the preservation or research—that’s what it was called, we had two separate departments. They would call them and they’d meet with them. They didn’t necessarily have to call me. Spatt: They came in, they walked right into my office, Ruth Wittenberg and a few others from the [Greenwich] Village, they walked right in and that’s the way it was and I talked with them. So one time they came right in they said, Beverley—I said where are you going afterwards? You know we talked, get friendly too. They were very important in the Village and they really got the Village designated. Ruth said, we’re going to NYU it’s graduation day and I said, “Oh my god, I’m getting graduated, I’m getting my PhD today.” They grabbed me. They said “Come with me.” They got a taxi, oh no, my car was there. We went to NYU. I said, “But I don’t have a gown on.” They said don’t worry. They went upstairs where the gowns were, the caps, they took one, put it on me and I went to the graduations thing. That gives you the relationship. Q: It does, it’s such a great image, it’s just so community minded, it’s really—[crosstalk]. Spatt: It was an open commission. It was open. I made a mistake at the very beginning. I didn’t realize it. It wasn’t a purposeful mistake but we wanted to designate the Steinway District. You know, the piano place? Spatt: Yes and this was the beginning of my term. We really hadn’t informed them enough and they didn’t know about it. This was the beginning of my term before we had set up all our programs and things, they came out against it. Q: So the surveys had been done, everyone knew the architecture in this district was great, but it just came down to a communications issue? Spatt: A lack of communication. Not because they didn’t want to communicate, but it was a lack of communication. It was a small district and they went to the borough president and the borough president voted against it. If one borough president voted against it, they all voted against it and I think that it was right. It was our error. We didn’t inform them enough. Spatt: We should’ve, yes, educated them more. I don’t use that in a pejorative sense, that they’re not educated but we should’ve explained it more. It was our error and I, in terms of democracy, I think it was right that the Board of Estimate, the borough president, the people objected. I think in democracy the people have the right to say something and to be listened to. Spatt: So that was a lesson. Q: Well it sounds like it happened early on and you set up programs. Do you feel that your programs were in response to that? That—[cross talk]. Spatt: It was early on. Spatt: I realized immediately, I didn’t object to it. In a democracy people have the right to do that, and they have a right to know. Anyway, in City Planning I didn’t have that problem because I was involved with the communities. Anyway, that’s the demonstration project, preservation and architectural document project. We started that. Q: I don’t know what this project is, actually. Spatt: That’s sort of the archives. Spatt: We started that. Preservation architect. We had I think Eddie Freed [phonetic] was in charge of that. Then we had a plaque program, you know, you had to do some things for landmarks. We got money for The [New York] Community Trust. We had radio spots besides—what was the other? TV and things. Q: Right, besides TV spots, posters. Spatt: We also, this was a special thing—radio spots. It was designated by the radios. Paul Parker did that. The commissioners were involved. I involved them there was only one commissioner I had difficulty with, who I told you that my vice chairman name unsaid, I didn’t ask to be appointed. Then there was another commissioner who was really very bright, but always did his or her homework during the time. I had difficulty with him or her, but I didn’t ask for him or her to go off. We had this. Spatt: We got money for the National Endowment of Humanities. He came down and you know, he was very professional, PhD and everything like that. He said that—it was a difficult meeting. Q: He being the head of the NEA? Spatt: Yes, he was head of the NEA, these people all came down. He came down. It was a difficult meeting. I was a little intimidated. Q: Who was the head of NEA at that point? Spatt: I don’t know, it was a man I know. But we got one hundred thousand dollars. How much did we get? Q: One hundred thousand dollars. Q: And this was for the Frederick Olmsted Park area so this was for Central park, was it for Prospect—? Spatt: With tours and catalogues. Q: Just for Central Park or for Prospect Park and—? Spatt: All the Frederick Law Olmsted parks. Then we needed money for people who could afford to come to the conference so—we only raised five hundred dollars for that, we needed money. In other words, some people didn’t have money to come to the conference. It was actually run by National Trust so they charged. Well, don’t ask me what that was. We must have had a commemorative event. Anything to tell people about us. Spatt: Landmark fund for restoration and preservation loans. Special projects. We gave out some loans for some special projects. We didn’t get a lot of so—an addendum, a guide to New York City landmarks. They had written it but we needed an addendum and Router and Company [phonetic] gave us in kind. It was very nice. We were really very lucky. That’s because our commission did a good job and our staff did a good job. You don’t just get things because. The Theodore Roosevelt project. We got money from them, ten thousand, five thousand, the Chemical Bank five hundred. Of course, all of our staff work on this was in kind. In other words, we didn’t put down how much staff money was involved. Spatt: Because some kinds of projects they put down not only in kind from the radio station, in kind from the Landmark Preservation Commission, we didn’t put our staff money down. When we had the Villard Houses, we—that was a problem, I’ll tell you that. Q: That I’m really interested in. Spatt: Our staff was there—Margaret Tuft’s staff and actually hired somebody too but they were there all the time making sure what we wanted preserved was preserved correctly. Public education program two, they gave us sixteen thousand for that. Monitoring in districts. That was very important. Demonstration projects, that was another one. Q: Oh you mentioned, that was the Court Street? Spatt: Preservation of architectural documents, we got from Exxon, don’t ask me how [laughter], the commissioners helped get money too. It wasn’t just I. Everybody helped, Lucy Moses gave us a thousand—everybody helped. Q: It seems that way. Looking at this list it seems incredibly represented, from federal agencies, foundations, private companies, that you really have a community profile here in your donors. Spatt: Well, our proposals were very professional and we had timelines and we had what each—the money and I guess we also put in those proposals in kind. I’m sure we did that, and the staff people and the district. It was professional proposals, that’s very important. But that the staff helped write. I didn’t just write them myself. So that’s it. All right, you take—well no, I’m going to give you stuff later. Q: How are you doing Beverly, are you okay to keep going? Spatt: I’m okay all night. I don’t know about you but my children are gone. My husband died four years ago. I’m just getting over it. Q: I’m terribly sorry. I’m glad to hear you’re getting over it. Spatt: Yes, four years. Just about four years. You never get over it. But anyway, what else? Q: Well we can somewhat jump and talk about—one question I had. The staff you had there, I was looking at the list of people, you had Adele Chatfield-Taylor. Spatt: I’m sorry I wasn’t listening. Spatt: Adele Chatfield-Taylor, I made her my assistant. Q: Was she on the Commission when you arrived? Spatt: No. She was working with Harmon, and Harmon said she was very good, so I continued her. I had a good staff. I kept them all. Margaret Tuft was excellent, and tough. Alan Burham, he goes all the way back. Alan Burham, he was great and he had a good staff, they weren’t big but they were good and they were open. They knew if anybody wanted to talk to them, they could talk to them. It was a totally open commission and the commissioners were all good, most of them, a couple maybe, and they participated. So, it was a good agency and I think people realized it was a good agency and it was professional, no politicians. Beame wanted to appoint someone in Queens and he was black and he was in real estate, and we needed a real estate person, and he was political. I said no and then I appointed someone who wasn’t so political [laughs]. Q: —Who you appointed. When you were looking for new appointees, a new commissioner, what were you looking for? Spatt: I appointed—who was that in preservation? I appointed him, but he left. He was so busy. Spatt: I appointed Fitch. He came in for a while but he was too busy, he left. I appointed George Collins. I appointed—I had some leftover but—do you have a list of the commissioners when I was there? Q: I have—it’s actually on my home computer. I can print it out next time. I went through the Green Books and have the list. Were you also concerned about getting more women? Spatt: I had women on the Commission. I appointed someone, he was black. But he was not a politician. Q: He was a professional. Spatt: Yea he was in real estate, he would go in to see, it wasn’t selling real estate but it was in real estate and he was very good and very helpful. They all were good. Q: I read somewhere, someone said your leadership style is that you led by consensus. Would you agree with that? Spatt: Yes, consensus, that’s a League of Women Voter function, we ran by consensus. Q: Can you talk about that? I have only been in New York ten years now. So I’ve only been to see the Landmarks Commission under one chair but I don’t really have a sense of how the dynamics and hearings operated under other chairs [crosstalk]. Spatt: Well you could operate I guess by vote but consensus is the majority of people agree, and mostly they did agree. They were professionals themselves and they were for preservation. I wouldn’t appoint anybody who wasn’t for preservation. When I say professional, that doesn’t mean they have degrees. But I don’t know whether they made a mistake, someone who also recommended me to Beame, he knew about me and I guess Beame must’ve asked him. He brought in a big real estate person and maybe I really owed him for saying something nice about me, I didn’t take him. Q: I think that says something. Spatt: But he was angry with me. I don’t know, he brought the person in. Also, Philip Johnson came and wanted me to designate Seagram’s [Seagram Building]. I said no, because it’s not fifty years old. So you know, sometimes I alienated some of the big shots. Q: But you did it on principal. It was equal treatment for all. Spatt: I didn’t want political people. If they were real estate people that’s fine but they have to be nonpartisan and nonpolitical. They had to be professional real estate people. Not developers who want to build up high and things like that and didn’t care about tearing down landmarks. In other words, I didn’t want people who were involved in tearing down buildings and building buildings. Spatt: And the mayor let me do it but I gave him credit. Spatt: Well that shows how we function. We were not an aggressive, antagonistic commission. It wasn’t protagonist and antagonist. My experience before that was Grace Church. Grace Church wanted to restore their buildings and fix up. Whitney North Seymour Sr, he’s quite different than his son. He was very active there, he belonged to it, and he wanted to do it and there was a group that wanted to do it. However, they were having terrible interior problems. Spatt: All kinds of problems with the reverend, with—it was terrible. Whitney called me and said to me—and I didn’t know him, then I knew him—he said, “Look Beverly, I want this place designated and I want this done.” He says, “But right now we’re having such terrible problems.” I listened, we talked and he said, “If I think they’re going to do anything. I will call you.” and I said that I will immediately designate it. In other words, I wasn’t going to lose it. Whitney, I trusted him and that’s very important in government, and he trusted me. They used to call it gentleman’s agreement. I don’t know what a gentleman’s agreement is anymore. Is that a racist agreement? Q: I have no idea [laughs]. Spatt: He trusted me, he knew I would keep my word and I know he would keep his word, and if they were going to do something, he would immediately get in touch with me. In the meantime, a group did an Article 78 against us. Spatt: But I still designated it. I spoke to my commissioners. They agreed and at one point we designated it. They lost their minister; it was a terrible thing. It was a terrible, terrible thing but we designated them at some point. He called me and said you know it’s become impossible. I felt sorry for the church. We don’t want to destroy people and destroy buildings and I knew that we [unclear]. The same thing with Radio City Music Hall. Alton Marshall, we were designating, I think it was the interior or maybe it was some of the exterior. Alton [G.] Marshall called me. I didn’t know him. He said look, Beverly—everybody called me Beverley even the elevator man called me Beverly. Anyway, because I was no different than anybody else just because I was commissioner and that was the elevator man at City Planning and my driver at Landmarks—I got a driver for us they never had a driver. You need a driver if you’re going out inspecting buildings and things and he called me Beverly. He was great he became very involved with the landmarks and preservation. But Marshall called me and said the same thing. Q: Hold off on designation? Spatt: Just hold off, we’re working on it and everything. It was the Rockefeller Funds and there were financial factors and shares and China and Japan, whoever owned the goddamned place. At some point he calls me because I designated. He kept his word and I kept my word. I think that’s the basis of government trust, I don’t think it’s antagonism. Spatt: Well nobody knew anything about—we hadn’t put it up for a hearing. I called them and said we’re going to designate you, Whitney Seymour. It wasn’t public yet but then it became—then when I got the Article 78, it wasn’t that it was public; the Article 78 was to designate it. It wasn’t that it was public. Transparency is when you’re going to do something when we’re about to do it. Then we told everybody. Q: So you had the conversations, I don’t want to say behind closed doors, but people came to you when you were thinking about designating something. Spatt: It was only those two things. Spatt: Well they were big things and I know there was a group at Grace Church that really wanted to designate, but it was such a terrible—fighting and the minister. I knew that Whitney was there, holding it. I trusted him and he was a preservationist. Q: And knew that if it got to a point then he would say Beverly, now is the moment. Spatt: And he was really a great preservationist. Turn it off. Q: That you would’ve done something. Spatt: But we never got to that point of my having it too soon. I trusted him. I trust people [laughter]. That may sound dumb. Q: No, I don’t think it does. Spatt: I trust people. I trust the community people. I trust people and in turn they trust me. Anyway, I’ve had that experience in City Planning and people say you’re the only one that’s listening and they trust me and I trust them. I listen to them, I hear, I don’t just listen. Spatt: It’s a democracy. I’m a firm believer. I’ve taken courses, Plato and Aristotle and read all about democracy and I believe in it. Where are we? Oh the other thing, the Villard Houses. Spatt: That was difficult. I don’t know whether anybody encouraged us to do Villard Houses. It came from us I think. Spatt: I believe it did. Q: So [Harry B.] Helmsley came with the proposal. Spatt: It came from us I think, I researched that. It was a very good building and had a history and everything. We had a problem with Morgan House—before my time, they had a problem. They never designated it. It was a problem court case. It was before me. I had read it, I knew about it so I had learned some lessons from it. The Villard House was owned by the church, and the church—all the churches have never wanted to designate. I became active with all the church groups we met in Boston about designation. Q: About encouraging designation and the benefit of designation? Q: Helmsley’s lawyer or the churches lawyer? Spatt: The church’s lawyer. It wasn’t Hemlsey’s lawyer. Helmsley wasn’t involved in it then. They wanted to sell it and build a big place on it, I think First Avenue. In other words, it was no longer good for them. They wanted a big center—that was their center for all their actions. They wanted a place on I think it’s First Avenue. They told me. I listened but I talked with Kevin, we discussed it. But we said we were going to designate it, but we talked about what parts had to be designated. Spatt: They wanted to build a—not the church, Helmsley wanted to build an apartment house behind it or something, which had nothing to do with the landmark but it had something to do with it. We let them build that and we set up a committee and Margaret Tuft was there practically all the time and we had, I forget his name, we hired somebody who was there all the time and we laid out everything that had to be saved. Q: When you were doing this was it a consideration of exterior and interior or were you just thinking about the exterior? Spatt: It was both and this fellow that we appointed, he and his staff were there all the time, making sure that everything is done correctly. Margaret and her staff were there and it was all laid out with a contract exactly what had to be saved. To tell you the truth, at the end, the Municipal Art Society was very happy because they got it. It isn’t that they told me they were happy or applauded our commission but they got something out of it. Some of the interior really didn’t need designating. Q: Can I ask something just to make sure I’ve got the sequence of Villard Houses. Your staff identified Villard as being a significant building? Q: The research staff wanted to designate, the Commission wanted to designate, the church at this point also wanted to sell so they didn’t want the property anymore, and then that’s when Helmsley came in? Spatt: The church didn’t want to designate it, [crosstalk] because they wanted to sell it all. Q: So when did Helmsley come into the picture? Spatt: Helmsley, probably right in the beginning. They probably wanted to sell it to Helmsley. But they were not involved in the process, except we told the church to go ahead and build the apartment house, it had nothing to do with it way in the back but we didn’t have any discussions with Helmesley. We told them what we were going to preserve, what had to be preserved. Some of the inner things. 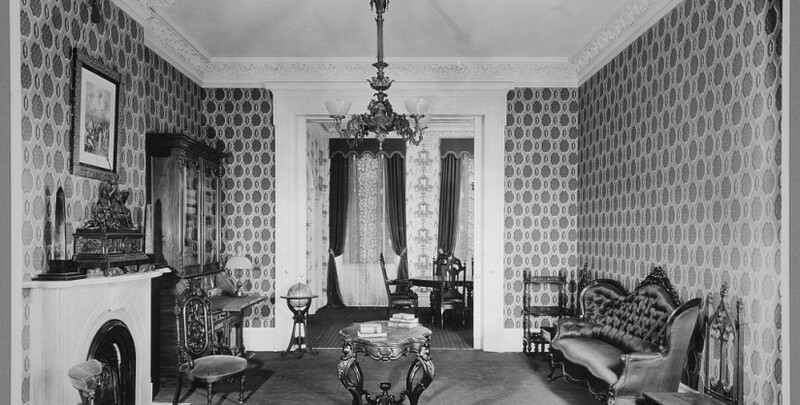 Spatt: The inner rooms, and how the outside had to be kept. They had to spend money. Spatt: Yes. Or maybe it was Helmsley’s money. I don’t really care. Q: So the church, the tower as it exists now, it’s kind of set at the peak, you preserved the front façade. The tower in the back was a compromise that the church made? The church developed that? Spatt: The church didn’t do that think it was Helmsley. Don’t take my word for it—yeah it was Helmsley I’m sure [crosstalk]. They wanted to sell it, and he wanted to build his main complex, a center on First Avenue. They wanted to sell it. It was no longer good for them, let’s put it that way, at least they felt that way and it probably as true but we wanted to preserve everything that we felt should be preserved. Q: And you felt like you were able to preserve everything? Spatt: We were very careful. I can’t tell you how careful we were in terms of persevering it and deciding what should be preserved. I think everybody was happy at that point but it took conversations with their lawyer. Kevin and I, we became friendly. That’s part of it—you don’t call in and say blah, blah, blah. You discuss but you know what you want and you know what you can get but you don’t tell them. Q: That’s a good point. You have a conversation first. Spatt: First you discuss it with your own staff, the preservation staff as well as the research staff, with the commissioners. The commissioners were involved. So you know exactly where you’re going and where you want to go. Then you discuss it with them and if you’re already prepared and you know what you’re doing and they trust you and they know you’re going to do it. They know you’re not fooling around and you’re not going to be persuaded by this politician or that politician or this or that. Q: That you’re standing by your convictions, this is what’s going to happen. Spatt: The Commission was known as the professional commission. The members were all good people. They weren’t politicians at all. Q: One thing about Villard House that I’m wondering is the whole transfer of development rights [TDRs] and that involvement because that to me seems like such a powerful tool that Landmarks had. Spatt: I’m not necessarily for transferring but the Landmarks Law gives you the right. I’m not for—I worry about transfer of development rights. Q: Please share, because I was walking around—I’ll tell you why this is of particular interest—I was walking around lower Manhattan recently and it got me thinking about the [South Street] Seaport and transfer of development rights so I was curious about what people think about this. Spatt: I’m not for it. Grand Central Station, one of the ways that we did win at Supreme Court and filed at Court of Appeals was that the law did say transfer of development rights. So I think they owned the Hotel Roosevelt, don’t take my word for which—they owned someplace. They could transfer from the Grand Central to other places. Q: Because it has to be adjacent or across the street. Spatt: Then they changed it and they said on the block and I voted against it. I was on the City Planning Commission. I said the next thing you know, they’ll transfer it to the next borough and they did. I mean, not to the next borough. They started with contiguous, then they said on the block. I voted against it in City Planning. I am very worried about transfer of development rights. Also, it meant higher density and these tall buildings. I’m not for high density, I must admit. Q: No. I’m curious about this because I think TRDs are such a big issue and I’m just really—you come at it with a planning background and also a preservation background—what your thoughts are because you have a unique perspective having been involved in Grand Central, having seen the Villard Houses. I’m just really interested in knowing what your thoughts are on TDRs. Spatt: Well, it became contiguous and then it moved down the block, where’s it going to go next? I think you have to be very careful about transfer of development rights. Q: What are your main concerns about it? So laying it out you could say the good would be—? Spatt: I guess as a planner and probably personally, I’m against these high-density buildings. Q: High density where you shouldn’t have high density? Spatt: I’m against such high density. It reached a point where it became twenty percent then it was forty percent. Where are we going? I didn’t vote for the World Trade Center. I’m the only one who didn’t when I was still on the City Planning Commission. It really wasn’t necessary and I think they’re crazy letting another one go up. Actually, the state took most of the space, because they had so much vacant space. They didn’t need that and they still don’t need it but they’re building it again. But I’m not on the City Planning Commission. I didn’t vote for it, I wrote a report, only a one-page report. Q: On the new proposal? Spatt: No, on the World Trade Center. I was totally opposed to it. Q: Because of the whole high-density issue? Spatt: No, there was several issues. One, it wasn’t needed. All that space wasn’t needed. Two, they didn’t go to through the—they had the right to build it because I think it’s federal government, or the state was involved. It’s something or other. Q: Port Authority was involved, or the precursor? Spatt: Something. Sometimes I don’t remember exactly the words but they can do without going to the city. It wasn’t needed, proof was that the state took most of or a good amount of the space, Port Authority and others. Also, the height. Also, there was a very vibrant downtown area of merchants and vendors and electronics. It was all eliminated. Spatt: I wrote a report, I don’t remember exactly, it was a one-page report. It wasn’t necessary. It really wasn’t. And this one’s not going to be necessary either. Q: I’d love to read the one page report if it’s in any—[crosstalk]. Spatt: I’ll look for it. Write down what you want me to sent you. Spatt: Basically I’m against these real high-rise buildings, I see no reason to go up to the sky, Tower of Babel. Also, I think it’s a [unclear] how they—the density is just tremendous. Q: TDRs—again going back to the transfer of development rights, is the language. The TDR says, well, the new building has to be, I don’t know whether the word is harmonious? Spatt: Yeah, they did contextual. Q: Contextual. And it must be contextual with the original landmark. So it’s words like harmony or contextual that to me are so open for interpretation. Q: I’m wondering as chair of the Commission, how you had conversations around some of these words. What did you see as the definition of harmonious or contextual? Spatt: Well, we didn’t have contextual zoning then I don’t think, and the law permitted transfer of development rights. In the case of Grand Central, it was a positive because when Dorothy made the case [unclear] made the case, they did too. They played a part in the relations. When Dorothy made the case, the case was—god, there’s dust up there [laughter]. I don’t bother. Passover is coming. Q: I wouldn’t notice if you didn’t point it out [laughs]. Spatt: Passover is coming and after Passover, well before Passover I’m going to have her vacuum in here. I don’t have her work. I’m not a good housekeeper. When the kids were here I had a sleep-in housekeeper all the time. I wasn’t a Jewish princess but I had one even though we didn’t have money. Anyhow, before Passover I’m going have her vacuum and dust, but after Passover I think I’m going to have the rugs cleaned. They really need a cleaning. Q: They look pretty good to me. I can’t have you over to my house then. Spatt: They haven’t been cleaned. Anyhow, when Hazel [phonetic] comes in, actually, she was with my husband that year, twenty-four-seven. He had congestive heart failure. He was good, intellectually and emotionally, everything, he was fine but he had trouble walking and stuff. She was here all the time. I kept her a year after because I was numb. I couldn’t function and then I kept her, I had her come three days a week, then two days a week, but then she got a job—she had to make money and she does work in the morning and the evening so I have her just on Saturday. It’s the only day she can give me, on Saturday and we’re friends at this point because she was with Sam all the time and I really appreciate it. She made Sam laugh and we got to be—she’s family. I left her twenty thousand in my will. We’re family now so when she comes. I have her do my bedroom, the kitchen and the foyer. I tell her to go home. I give her one hundred dollars. Spatt: Relationships, if I ever needed her again, god forbid. I know she’d be there. So we don’t use the dining room. Thanksgiving we cleaned it, because I had some people in for Thanksgiving. And for Passover we’ll clean it before [laughter]. I always feel the place will outlive me. I’m not a cleaner. Q: You would never notice that there’s dust up there. Spatt: You can see it, I just noticed it. Q: Now that you said it, I could but I didn’t notice it before. I think it’s because I’m mesmerized by the paintings, there’s so much to look at in this room, you don’t look at the dust. Spatt: She does dust my pictures, my paintings. Anyway where were we? Spatt: I know that I’m personally not for high density. I don’t believe it and I think—I know in New York how many people we have, in Brooklyn, but I object to what’s happening in Brooklyn. Q: Where specifically? In Flatbush or—? Spatt: The Atlantic Terminal, it’s destroying Park Slope, it’s destroying Fort Greene and it’s a block and it’s also high density it’s also a question of traffic. Q: Very good point. Do you think TDRs do have a benefit and that they protect landmarks or do you think there would be another way to protect these landmarks? Spatt: I’m sorry, who protects? Spatt: That’s a hard question because it did help. The way we saved Grand Central was they had to use part of the area underneath and there was a space and also transfer of air rights. It was a whole complex of poise. So it did—it was a factor. In other words, it was a factor, could be misused. It does permit twenty or forty FARs [Floor-Area Ratio], you know what FARs, floor area ratio, forty is an awful lot. Spatt: What can I say? Q: No, that’s—I think it’s just—[crosstalk]. Spatt: If it reaches the point of forty, I would say they shouldn’t permit it. They have to be awfully careful of transferring of air rights. Spatt: They did that with the Theater District too. Q: I didn’t know that was a TDR. Spatt: No, I don’t think it was a key. Actually, there was something about it, Maybe it was transfer of air rights. I voted against something on Theater District. Here’s how you make friends [laughs]. The heads of Shubert [Theatre] were so pleased with me they said anytime you want to get a good seat, pay for it but call us. It’s funny, they were very pleased with my vote. Spatt: I don’t know whether it was transfer of air rights or setting up the Theater District I think. Spatt: Yes because you have to be very careful, and I think they also gave bonuses. It’s like they gave bonuses for open plazas in buildings and they were closed, couldn’t get in them, they weren’t really open plazas. Then recently I think they said you had to open them, you had to let the public in but until recently they were closed plazas. One of the plazas was in Downtown Manhattan, it was the second floor of a building. It had an escalator. Q: Who would know to go in and go up to the second floor? Spatt: That’s right. So those are very misused. You have to be very careful and you have to have people who we’re voting on it be very sure what they’re doing and be very—I use the word political, not persuaded by real estate and others. Real estate didn’t like me when I was on the City Planning Commission. Q: How do you think they felt about you while you were on Landmarks? Spatt: I think they liked me more. Q: Why more on Landmarks? Do you feel like you were more—? Spatt: Because well first of all it was a recession, they weren’t building. And two, I persuaded them to think it was an advantage, they got money for doing things. Q: Beverly that’s a great—[crosstalk]. Spatt: And also we had lost a lot, a lot of Pennsylvania Station and that Fifth Avenue building. You know people were getting worried. It was a good time for landmarks if you took advantage of it. Spatt: Which amendments are you talking about? Spatt: I think I did the scenic. No I did the first ones. Q: I think the law passed in ’73, but you did the first ones. I’m wondering if you could talk about that because I can’t imagine Central Park not being designated. What was that whole process like of suddenly having scenic landmarks? Was there ever a question in your mind? Spatt: I don’t think there was that much objection to it. There’s always objection but I don’t think it was like some of the others. Then interior—I think I did the first interior too. I think it was that restaurant on 14th Street, Lugers, Peter Lugers? I don’t remember. Q: Lugers, is Lugers out in Williamsburg? I could be wrong. Spatt: It was a German restaurant but very popular and I did the interior and that was the first and that they didn’t want but we did it anyhow. Q: So having owner opposition wasn’t necessarily an obstacle in your mind? Spatt: Well it was listened to. It was listened to. We tried to persuade them, since we were open, we talked and talked, and discussed it and discussed it. That one we probably did over their opposition but in the communities we did differently. You’re talking about an individual landmark. Individual landmarks are not communities necessarily and that makes for more of a problem. Spatt: I don’t think the Central Park—I wouldn’t remember if we had that tremendous opposition. I’m sure we had opposition but I think probably the [Manhattan] Community Board 6 it abuts the park, they were probably for it in west side so that probably wasn’t as difficult. At least I don’t remember it as being as difficult as some of the other things. And the city didn’t object to it. Interior landmarks is more—I think we did Gage and Tollner interior. I think we had opposition by the owners. But I used to go to Gage and Tollner with some friends—I lived in the Heights. And my father, you know a lot of the judges and lawyers, my father was a lawyer downtown too, Cullen and Dykman [LLP], he was a partner—they used to go to Gage and Tollner’s. So the waiters all knew my father. When I went there and they were very nice to me, the waiters. So the waiters were for it and they wanted the restaurant to stay and they liked what it was. Actually, one of the waiters—that was a time Beame didn’t listen to me. I asked Beame to appoint one of the waiters who actually was a perseverationist in his neighborhood. He was black and he was for preservation. Beame didn’t appoint him. Spatt: Because he was a waiter. I also asked Beame to appoint Durst, Seymour [B.] Durst. Spatt: I got to know Seymour Durst and he was a preservationist. He was for preservation and he also he had file, archives of New York City all the way back. Q: I’ve seen his library at CUNY now. Spatt: Yes, when he died, way after I wrote a letter to his son. I told him that I knew Seymour. Seymour was the only one I let pay for me. I didn’t let anybody pay for my lunch because I’m a government person, but Seymour was a preservationist and he really was for preservation. I asked the mayor to appoint him not because—real estate, we needed a real estate person. He wouldn’t appoint him. Q: But I’m curious how was Seymour such a preservationist? Spatt: How was he a preservationist? He believed in New York City, he believed in these old buildings. He live in one, a very narrow brownstone. He had material going all the way back about New York City and he cared about New York City. I don’t know Douglas [Durst] at all but I did write him after Seymour died and I told him that he had all this material and that I thought he ought to give it to a library or a college, that it was great material. Seymour really as a preservationist. He was a real estate person but you know, of all real estate people—I needed a real estate person. Seymour was preservationist. Q: I think you’ve hit upon a point that preservationists and real estate aren’t mutually exclusive. Spatt: No, they aren’t, but with him, preservation was very important. He wanted to be one the commission, I asked him. He wanted to be on it and I think he would’ve been good. He might’ve been even more helpful to us than the real estate people because I had a relationship with him. Spatt: I hadn’t realized it, he was the one that told me about all his material and he showed me it. I was so impressed and he hadn’t come out against anything, he could’ve. Q: Were there any of people in the city that you would’ve loved to have seen on the Commission on that point? Any Seymour Durst type figures? Spatt: You mean that I didn’t get appointed? No, probably the mistake, Fitch because he took too much time. He thought it was a waste of time [laughs], and George Collins left after about a year. They were very busy in their departments, though I taught when I was up there but I got clearance from the departments of ethics or whatever on my lunch hour. I had a couple hours for lunch so instead of taking lunch hour, I taught for two hours a couple of days a week at Barnard. So it was this quid pro quo. It was easy. It was not a conflict of interest. And to tell you the truth, a lot of my students a lot of them were planners and preservationist. Some of them are professors now of community development and they’re doing great. Ronda Wist became director of City Planning. MAS [Municipal Art Society]—a lot of my students became preservationists and planners. Q: You arrived at the Commission too at the moment where suddenly you had people who had studied under Fitch at Columbia, the first trained preservationists if you will were coming into the world at that point. The program had started in ’65 so you figure the first were graduating in about ’67 or so. Spatt: Just becoming a thing because they weren’t my students though I hired Andrew Dolkart to do a survey. He was part of a survey team. I got money from Tom [Thomas J.] Cuite, he was head of the City Council. I got money to do a city survey and because he gave me the money and he represented Brooklyn, Brooklyn was our first survey. Unfortunately I was no longer on the Commission to do any other areas but we had a—where do I have it? I don’t know. Spatt: I did Brooklyn first, very honestly because Tom Cuite gave me the money. He was head of the City Council. I don’t know whether they call it president or—hold on. I’m going to give you this [referring to document]. Q: Okay thanks. I’ll look over everything and I’ll bring it back to you. Spatt: You can Xerox it, I don’t mind. Spatt: The head of the survey was a Platt-ist, Ed Freedman [phonetic]. We had just—you don’t know these people, Walter Thabit. Q: I know the name. Spatt: He was wonderful, he was a planner , he really was—Planners for Equal Opportunity—he really was wonderful. Walter was there, Sara, what’s her last name? She became a commissioner. Spatt: Sara Landau, I appointed her. She said I appointed her at a time when she was really having problems, that it was wonderful. And I appointed Andrew Dolkart. Good people. Spatt: And it was that money and also I think Community Development Act [Housing and Community Development Act of 1974] money and we did a—I don’t know if I have it here. Q: Oh this is great [referring to document]. Spatt: First we did a windshield survey. This is the only one I have left. I gave all mine to the Historic Districts Council and they had used them, doing their survey. Spatt: Do you know they’re doing surveys? Q: I didn’t know HDC was doing surveys. Spatt: When they go into communities, they don’t give us credit, but they use our backup. We went into all of Brooklyn, we dispersed a windshield survey. Do you know what a windshield survey is? Spatt: Okay. So we sort of decided which district really met our criteria and then we had a survey team and then we decide which areas might be surveyed. Now in doing the surveyed, we did loads of things. One, we set up community meetings, first of all and I told you we invited everybody. If you don’t have the real estate people, if you don’t have the banks—they have to give you mortgages don’t they? If you don’t have any of these people, if you don’t have the residents, if you don’t have the commercial people, you can forget it. So we invited them all and told them what landmarks was about and we discussed it. Then, we did studies of—we did census tracks to see what the economic things were, what the racial problem was, what the economic factors were, what the housing conditions were. Have you ever done census tracts? Spatt: Oh they’re wonderful. If you ever have to do something, you should look up census tracks. In fact, I still get all the census material. I’m still involved. We looked up everything concerning the communities, all the details. We also looked at all the real estate in the community, even those who didn’t come to us. We looked up all the development in the communities. We looked up everything, anything that had to do with the community. Census tracts are very important. Spatt: I could tell you the income of the community too. Go ahead, I’m sorry. Q: I’m curious, when you were doing these surveys, whether you looked to surveys that had been elsewhere as models and if so, were other places doing the census tract surveying that you were? Because you’re not just looking at the architecture, you’re looking at the community. Spatt: Well City Planning used census tracts. Q: So that’s probably something you had in mind still from—[crosstalk]. Spatt: Yes, it’s how we knew census tracts. And I went to school, I got my masters in urban planning. And you might, you know Sara and Andrew? You might talk to Andrew, he was on the survey. It was a wonderful survey and anything that had—we knew everything about the community, every resource that there was. You knew if there was a low-income community, we knew that we were going to have more problems there and we knew the ethnicity of the community. Now, you know if you want to put a certain façade on a building, but these people are immigrants. They don’t know anything about that, and they don’t want to, and there’s some justification for it, at least that’s the way I feel. Q: For not doing it? Spatt: I’m not god or goddess. She’s up there, she’s not down here. I worry. I worry about gentrification. We know that there is gentrification even if preservationists deny it. I also know that people stay if they can’t afford to stay. I know that Brooklyn Heights when I my folks moved here—I’ve lived here most my life, may father’s law firm Cullen and Dykman, was on Montague and Clinton. When my folks moved here, they were tenement houses all these brownstones. People, not homeless but poor people lived here, elderly people lived here. On Court Street there were alcoholics that had a place to stay. Now it’s just wealthy people living here and I mean wealthy. A one bedroom here goes for $2,400. Spatt: My children can’t live here. I don’t know who they are—well first of all if they’re married, they both work. If they have children, they have nannies but nannies cost a lot of money. If I pay one hundred dollars, but of course I’m very generous, for three hours, what is a nanny’s cost? Q: Probably more than most preservationists are making. Spatt: Yes and when I had sleep-in help, things were quite different, one hundred and fifty dollars could pay for the whole week. In fact I went back to work because we didn’t have public school either and we had to send kids to private school but the people who could afford it, they sent them to the church schools, St. Charles [Borromeo Church] or I forget what this one is called. We have two churches here. St. Charles is over at garden place, is it garden place? One of those places. We had all different types of people, we had elderly, we get poor professionals like Sam and I, and we lived with my folks. We couldn’t afford to live here and we had all types of people here in this house. Now we have just people who can afford, a two bedroom is $4,600, it’s a little room in the back. I don’t know how they can afford it, my kids can’t afford it [unclear]. Anyway, there’s no doubt in my mind there’s gentrification. I have it in my book, it was a pioneer study. First the pioneers move in. I guess that’s people like my folks. It was convenient for my dad. The rent was a hundred something then. Now our rent is almost three thousand. It’s a good thing my husband had a pension because I didn’t have a pension because I needed the money to support my children so rather than have a pension or social security, working for government you didn’t have to take it and we needed the money. Anyway, it—I get excited. Q: No, I think it’s a topic that gets everyone excited. Spatt: And there’s no doubt that preservation [unclear] when I had been on a bus and someone said where do you live? I say Brooklyn Heights. “Oh and I remember in the League of Women Voters, a woman, her address was so and so Brooklyn Heights, has a [unclear] I don’t even know how to pronounce it anymore. It has a certain feeling to it, people think of Brooklyn Heights. Park Slope is getting that [unclear] it’s very expensive and living here practically most of my life, I saw it change and I saw my husband practice and he parties [unclear] he gave him an office there and we saw the change and it’s true. Elderly can’t live here unless they have rent control, there are very few elderly here but there’s no doubt in my mind that gentrification is effective. Q: Look at SoHo as well. SoHo now, is a lot different than SoHo at the moment it was designated. Spatt: I voted against SoHo being designated. Q: Why did you vote against SoHo? Spatt: Because it was a very important industrial area. Q: You were on City Planning when you voted against it? Spatt: It was manufacturing and someone who was a professor in Princeton voted against it, he and I. I forget his name, it was a long time ago in the ‘60s. It moved out all the manufacturing. Manufacturing has moved out of New York and we said it was going to move out even more. We were both interested in planning. Spatt: Well, you had to look at the future and then—well now they begrudgingly say we got, we got SoHo, but on the other hand we had manufacturing and there as a time, probably before your time, I mean before you got involved when they were saying oh, we don’t have manufacturing. Well what they did was eliminate manufacturing. Spatt: In their zoning, as well as in designating a district that had manufacturing. Q: Well that raises appoint of how does the Preservation Commission and the City Planning work together with zoning overlays? Spatt: They didn’t work together. Q: When you were there how did they work? Spatt: I think—I’m not going to say it. Q: Should I turn it off? Okay. Spatt: And when John [E.] Zucotti was there, I worked with John and he went along with me but I was still alone on City Planning and all these things happened when I was on City Planning Commission. Q: But then you started to say that zoning and preservation really need to be more aligned. I think that’s important. Spatt: Yes. I think the chairman, they have to work together too. I don’t think that they do though. I’m not commenting on the chairman and I’m not commenting on what’s her name, Amanda [M. Burden]. Though I must say, when people write letters to the City Planning Commission, they don’t necessarily answer, but Amanda answers me. I’m not even chairman anymore but she does answer me, which says something. Spatt: But anyway, what’s the question? Yes, they should work together but I always felt as chairman, that we had to work with all the agencies. We had to work with the Buildings Department, we had to work with—which was difficult, [New York City Board of] Standards and Appeals. That was always a difficult department. We had to work with all the departments, Parks and it was an advantage because then they listened to us if we worked with them. We were collegial. Let’s use that word. Q: I think that’s a good word to use for it. Q: What was he speaking about in particular? Spatt: Roger at one point was director of Real Estate Board but it was said, we were friends. In other words, even if you disagreed, you didn’t have to be enemies. Q: It wasn’t personal it was professional then. Spatt: Roger was very good and he was very helpful in Housing when he had the—on City Planning was, not Elverson heights, the one block. Q: Strivers Row. Is it Strivers Row? Spatt: No, Strivers Row is lower down but all the areas we had to come, Roger gave us money to fix them up. He also supported us with federal government and that’s because we established relationships with them. Roger was head of Housing and Urban Development. Spatt: And that’s very important. What’s it called? Hamilton Heights, the one block. Q: I think it might be Strivers Row. Spatt: There’s another one but it was very important to work with housing just like we did public housing, First Houses. They were all with us, the mayor was there, but Ira Robbins went along with us. It’s very important to work with all the departments. Q: There’s one historic district that I’m curious about and it’s the proposed Civic Center Historic District that you were so involved in. I don’t know if you want to talk about that. Q: Can you talk about that? Spatt: We researched every building there. Spatt: Well, it’s certainly historically important. The developers were all opposed to it. It was a big thing. And the politicians were all opposed to it. Was the mayor for it? I didn’t know. Everybody opposed it, it was very strongly opposed by those who have power. Spatt: We tried. We designated it. I mean, we didn’t have a public hearing on it but we worked on it, research department worked on it, preservation worked on it, the commissioners looked at it. The commissions were involved in everything. It wasn’t me who made the decisions [unclear] as my mother would say. It was very difficult. I’ll tell you the interesting story, we had our office in one of the developers building, our first office and I liked that office because it was plain. We had old furniture. I didn’t publically object but I objected to moving to a new building, new furniture and fancy stuff because I’m a League of Voter, you don’t spend public money on that stuff. We had old furniture, the green things and it was fine, it was good but the man who owned the building—my husband moved into—the building that he was in for twenty-five, thirty years I guess his uncle sold the building to somebody and he had been there for a long time, thirty years and the man who bought the building wanted to make an apartment out of it. I think it’s an illegal apartment. I don’t know whether it’s a legal apartment or not [unclear] but I don’t know. I wouldn’t make an apartment out of it. I may be wrong. Q: Dually noted, that will be fact checked. Spatt: So without asking my husband whether he wanted to stay, he sent him a letter saying goodbye. I guess there wasn’t a lease. I don’t even know what my husband was paying my uncle. My uncle was like his father, his father died so he was like his father. So, one day Sam gets a letter goodbye. Spatt: Not from his uncle but from the man who bought the building and Sam went to the building on Montague Street, office building and he needed a bathroom. Spatt: There’s no bathrooms in office buildings, don’t you know that? You usually go to the hallway. Spatt: But Sam was a doctor, he needed a bathroom in his office. So, I called up the owner who was where we had our office—I was no longer commissioner. He said if you’ll pay for it, I’ll let you have a bathroom. So I got to pay for it, for Sam. It’s the only bathroom in that building that’s private. Spatt: Anyway, it’s interesting what happens. Who you meet and the connections and overlaps. I wasn’t a commissioner anymore, interesting. Q: Well, we talked about Villard Houses, proposed Civic Center District, are there any cases that we haven’t talked about that you think are particularly important or were particularly important during your time? Spatt: Let’s see what we got here. Spatt: Did I designate the Radiator building? I don’t know, maybe I was too naive to have problems. Q: The first interior of the New York Public Library. Oh, great. Spatt: It was Interfaith Commission. We met in Boston and [unclear] was the name of it. They set it up in cooperation of the New York City Planning Commission. I think John was there and I was there, you know I keep my files but it was the [unclear] and you know it was good because I made contacts there. Let me see what I got here. Excuse me. Spatt: Oh, here this was another thing. They passed an open hearing law, this is one of the problems the Commission has now, they don’t tell you things like that and I, immediately, that’s great that’s great, open meetings. So, I contacted [unclear] got my materials from him, got material from the Charter Implementation Commission [New York City Charter Revision Commission], there was a state analysis of the open reading, analyze that, open meeting analysis, analogous chart of provisions. Q: Wow but you were completely for it. You had always been for it. Spatt: I was always involved in everything. So you, know, I investigated it, the law, it was important and no one could say we didn’t have to have it. We had to have it. Q: That certainly your intuition in a way, you realized how important it was to have these hearings before. Spatt: This is a request to the mayor [referring to document]. Q: Oh this is the request for everything to be on the National Register. Spatt: Section 2124, well if I didn’t know 2124 I wouldn’t have known to do this. Q: Oh then here’s the list of chairman. Spatt: When they wanted to build one of the streets, there was something I think the church on the corner was on the National Register and I tried to use that but I didn’t succeed. When Morris [unclear] was an architect and very professional, and he goes all the way back to the revolution. He was very helpful and an architect. Ed Aimes [phonetic], I’m not saying Morris was wealthy but he was civic minded, Ed Aimes was there when I came and he left, Margaret Beyer she was a real preservation women. Elizabeth, I don’t remember, I have it someplace, one of the two was active in the housing law, Wagner proposed a housing law. Q: Oh I didn’t know that. Spatt: Yeah, one of the two. It was in the—was it in the ’30s or the ’20s, his father was—Wagner law and public housing and she was very active. I think it was Elizabeth, I’m not sure, maybe it was Margaret? But Warren Greg was a preservation of Queens. Do you know of him? Spatt: Steve Lash was—Steve volunteered in the research department under Alan Burham. Later on I made him a commissioner. He was good, he had time, also, [unclear] he was black but he was a real estate person and a preservationist. [Unclear] was from Queens, he was a preservationist and Paul Parker was and they all were wonderful. Harmon left me a very good commission and I try to keep it that way. Q: What do you think it is, I feel today we throw out the term preservationist, what it means to be a preservationist. In your mind, what is the definition of a preservationist? Spatt: In terms of—it’s people—if there’s no past, there’s no present, there’s no future, and part of the past is human beings, its history, but it’s also architecture. It’s a continuum, it involves everything. It’s like a church on the corner is a landmark. I’m not saying it’s a historic landmark. I don’t know if you ever read Kent’s book. I have it inside I was going to give it to the auction. We have an auction at HDC. I used it for my book. You really ought to read it. It’s a wonderful book. Q: Which one is this? Spatt: Kent’s book. My footnote on the bottom, or the back. I don’t remember, my footnote on the bottom. It’s a very important book. Maybe I’ll give it to you before I give it to the auction. Q: I can bring it back I can read it quickly and bring it back if you want to put it in the auction. Spatt: See, don’t forget I read all this stuff in City Planning, you know. Q: So you were current on the conversation on of what was really happening from a land use standpoint. Spatt: In fact I still have that report. James Felt, who I replaced, he said, Beverly don’t, I told you but I was a full time commissioner, well that was another factor in why I succeeded, Citizens Budget Commission. Spatt: They were very important, they represent all the banks and real estate and everything. For some reason, they liked me and it ended up we went out for lunch, the staff liked me, they were very helpful to me. As a matter of fact I dedicated the book to the director. Their board was made up of all these important banks, real estate, everything but the staff—is that your phone? Q: No, it sounds like a police car. Spatt: I dedicated it to the director, John Levitz. Spatt: He was so wonderful to me because on City Planning, Lindsay used the capital budget and the Commission was very much opposed to using the capital budget. Q: They must have been. Spatt: And I dissented on it and I voted against using it so they liked me. Anyway, so it was helpful having this important group, a nice feeling with them, especially since the mayor didn’t like me, nor did—I’m looking for his name [unclear]—when I dissented on the master plan. They had the annual meeting, they were talking about the master plan, it was on the master plan and they—John Keith [phonetic] was the head of it and they had speakers and they had speakers from City Planning but they didn’t invite me, they couldn’t, because I dissented but at the end, John said when you go out, on the table there is a dissent of commissioner Spatt, which you can get and they rushed to the table, you know after a wedding reception, they rushed like crazy to the table. And I printed up, at my own expense, he called me. He said that he was willing to have my dissent there which was very nice of him. [Unclear]? Spatt: They were very professional. They probably still are and he said if I printed it up they would have a table with it and I printed it up, maybe I have a copy I can give you, and my children sat on the floor—my kids help me collate it and actually, there was a priest in Carroll Gardens—and Carroll Gardens, they were very unhappy about the zoning and they weren’t designated. He said he had a printer so he got me the printer, I don’t even know if I paid for it and as I said, we collated it and then my husband drove me [unclear] there were thousands of copies. Anyway, yes, the civic groups. I was a civic person, that probably helped, anyhow, it was interesting times I must say. Spatt: Percy [E.] Sutton was for me because I was a Planner for Equal Opportunity. Percy was the borough president. He was wonderful. Q: The Manhattan borough president? Oh I don’t know their names. Spatt: He spoke at the League of Women Voters. Percy was great. Oh he was a politician. Spatt: When I was on City Planning? Q: No, when you were on Landmarks. Spatt: I knew nothing about them when I was on City Planning except when they asked me who the mayor should appoint. Well I knew about Landmarks but I didn’t know the commission itself. What was the question specifically? Q: The question specifically was, when you were chair of Landmarks, how aware of organizations such as The [New York] Landmarks Conservancy or Historic District Council—were they knocking on your door coming to talk to you about issues or were they more hands off? Spatt: I was just a commissioner don’t forget. Q: When you were a Landmarks chair. Spatt: Oh when I was on Landmarks, did they come to talk to me? Q: Where you very much aware of the conservancies? Spatt: I was aware of them. I don’t think I was their preference, let’s put it that way [crosstalk]. Spatt: Not but my counsel, if it was a legal thing or something, I’m sure spoke to their counsel and things like that. We were not against them or anything like that. I guess occasionally we agreed on things. Q: Yes, because it sounds like you have an amazing dialogue with all the city agencies. Spatt: Let’s put it this way, turn it off. Spatt: [Unclear] [Daniel Patrick] Moynihan, I had all these people. Q: The Urban T.J. Kent? Spatt: T.J. Kent, The Urban General Planner, Chandler Publishing, ’64. Q: That’s what you would recommend I have a look at this? Spatt: I think that’s very important, it really spells out—it is necessary to talk about planning, it talked about landmarks in the catholic sense, if there’s a building that’s central to the community, it a landmark. It’s a point of reference. Q: But it doesn’t just have to be about the architecture. It’s more about a coming together place? Spatt: Maybe historic, a whole reason for—it’s a landmark in the community. Anyway, I guess being a planner helped me. What other questions do you have? This has all my programs and it was only till 1977. So the legislation is only until ’77. In other words, we got money from federal governments new comprehensive planning. Spatt: And historic preservation got the money. Q: My other questions are kind of more looking back at your time. Thank you. Spatt: You can have this, out it on the floor [referring to document]. Q: I’ll make copies of everything and bring everything back. Spatt: Well that, you can keep. Hold on. Okay I think these are what I want to give you. Those are the Theodore Roosevelt rehabilitation. Spatt: Do you want a copy of it? Spatt: Make sure your return it. Q: I’ll return this to you. Spatt: Here’s my correspondence was [unclear] Theodore Roosevelt Association. This was the dedication. I don’t know what you want, take it. Okay that was the money for the salvage thing, to recycle architectural decorum. Q: Oh what was that? Spatt: That was archives. We started it. Q: I didn’t realize that your archives you weren’t just talking about paper archives or historical records. It was physical fragments of buildings and what not. How did that work? Did you give people money for donating things? Spatt: Buildings that were taken down, our preservation, our research and our survey people saw them and we asked for it. They were glad to get rid of it and we got it. They put a lot of this stuff in the Brooklyn Museum. I don’t know whether they’re continuing to do that. Spatt: Well, it had to be outreach as well if people were coming in. Here’s the theater chart of all the tax programs there were at t hat were at that time, all the tax programs, we made a chart of all the tax programs. Spatt: Is your thing on? Spatt: We made a chart of all the tax programs. Oh here’s our study, the new economic and legal, you want a copy of this? I want it returned though and this is outline for the report. Q: Great I’ll return all of these to you. Spatt: Oh and I thank everybody soon as I got a check fromm them. Spatt: Oh yes, here’s the preservation of architectural documents. It was a demolished buildings records project. Q: Oh what’s that project? Q: Hold on. We’re not there yet, hold on. Spatt: What is this? A public education grant. I guess we amended it then and believe it or not we got money from Nixon’s white house. Q: Wow that’s saying something. Spatt: Because my PR guy knew Leonard Garment and Leonard Garment was a key person in Nixon’s Whitehouse and we got a grant. Q: Look at the font, the National Endowment. Spatt: Our money went through the National Council Endowment Foundation [sic]. We had to have an agency that took the money and then gave it to us. Q: So where did the money go through? Spatt: I think it was [unclear]. Spatt: I think it was that. Q: Now you had grant money going through the Landmarks Conservancy as well? You didn’t? Okay. Spatt: Here’s funding for service for the restoration of historic buildings. We had no known what the land and water conservation fund was because there was money from that, the water conservation fund. Neighborhood homeowners a monitoring guide proposal. Here, another program. Q: To increase public awareness. Spatt: You can put that thing on if you want. Q: Research topics of the—what’s the CD? Of the CD? Spatt: We had community development staff from the community development money, we appreciate any information on the following research topics. I don’t know to whom they sent it to but they said that somebody for the summer interns. We had summer interns but I want to get you one phone number I don’t know where it is. Q: Do you think it might be over here. Oh I got my notebook on a certain file as well, what do I have this one. Quotes, is this what you were looking for. I had it hidden Beverly I’m sorry. Spatt: I love words so I kept when I came across a quote that I liked, [unclear] he was my god, all the quotes, Marcus Aurelius. I kept wanting to post it. I use them in my dissents. The staff said to me, it’s too much, not Landmarks staff. Q: The City Planning staff? Spatt: The staff what is this? I want to get my landmarks scholar program. Q: Oh this is interesting. Individuals in community groups active in the selected historic districts. So you very much knew what groups were—[crosstalk]. Spatt: The key person, oh here it is I think. Here, the survey, after we talked to the people, we did a survey, we went out to the communities, and they were so please because we had a slide show, they said oh that’s my house. If you return it to me or Xerox it. Q: I’ll Xerox these, this too, the [phonetic] so I’ll return all that, you’ve got me on record. Spatt: We set up a landmark preservation program, a landmark scholar. Here you could read it. Q: What a great program. Spatt: In fact I met with Ron was the head of it and he [unclear] I was friendly with him and I’m friendly with Rhonda. Ron was the head of it and there was qualifications for the supervisor because I had a supervisor of it. If you return this [unclear]. Q: Was this your brainchild? Why did you think it was so important? Spatt: For the future of landmarks. You read this? Q: Yes, could I take that and return that too? Spatt: I had a supervisor, I went around to all the colleges. NYU said to somebody, here’s a member of [unclear] all the requirements seminar, it was very professional and I think the reason they gave me also it because I had a PhD, I was an academic so the colleges knew it was coming into professional. Q: This seems very much structured like an academic. Spatt: Return it to me. Spatt: We had—we also put them in an intern program. They were completely, for one whole term they were sent to our agency. Q: They were with you full time for one semester? Wow I didn’t realize that. What a great program. Spatt: We had courses for them. We had professionals who came and lectured. We had them intern in different agencies. Spatt: Yes one for transportation planning because they were in transportation planning. Spatt: But it was in preservation. Here is progress report of the students, Lehman College sent somebody, NYU, Parsons School of Design, Brooklyn College, Queens College, CCNY [City College of New York]. The only place that didn’t send me a student was Columbia, I went to Columbia and they had all the faculty in this dark room, all these men and they said to me, what is preservation? It’s only a plaque. Spatt: But this was Columbia, I went out and I cried. Q: Oh Beverly. That’s disappointing that it was already the mid ‘70s and that was their attitude. Spatt: Oh this is Roy [unclear] is that the same syllabus? Q: No I didn’t see this. You didn’t give me a copy of the syllabus. I’d love to see that. Q: I will definitely return this but I’m definitely interested in what the reading list was, as someone who also tears through books. Spatt: Oh let me see this, is this a bigger thing? Q: Oh this is great. Spatt: Here’s February sixth, introduction syllabus, what does it say there? Q: Oh yeah, that looks to be the same thing. Spatt: I guess the first page is Roy. He was the supervisor, his presentation. He met with faculty advisors. Q: Oh he did, at all the schools? Spatt: At all the schools to discuss the scholar’s progress. Q: This is very impressive. Spatt: In other words, it was an academic program. Q: Well this reading list alone if quite impressive, appropriate sections of New York City master plan for Brooklyn. I mean, this really covers everything. Q: Quality of life tours, tours of Downtown Brooklyn, Fort Greene, Cobble Hill Historic District, Brooklyn Heights Historic District. Spatt: Do you have a copy of this? Q: I’ll return all of these after I make copies of this reading list for myself. This is a great list. Spatt: Are you going for PhD? Q: No but I always love reading as much as I can get my hands on. Spatt: What do you do? Q: I actually teach a course at Columbia. I teach one of the studio [unclear] courses. I’ve got them looking at the current aqueduct. I’ll turn this off for one second. Spatt: Okay so I gave you my [unclear]. Q: I got this so I’m going to return all of this. One question Beverly, I don’t know if you’re exhausted for questions and want to continue when I return. Spatt: I was reading something. I’m sorry. I’m trying to put my things together. What? Supplemental material provided by the narrator, Beverly Moss Spatt PhD. The following is a transcription of handwritten notes written by Beverly Moss Spatt regarding her oral history interview conducted by Liz McEnaney in 2011. I was appointed at a time of societal environmental problems: destruction of our heritage, alienation, and anomie. I was an academician (taught at Barnard College) and planner (Masters and Ph.D. in Urban Planning) as well as a community advocate. As a member of the [New York City] City Planning Commission [CPC], I had experience in a city agency with direct effect on the built environment and city government. The [New York City] Landmarks Preservation Commission [LPC] was small though highly skilled agency, relatively isolated from the operations of city government, with the sole business of saving landmarks. The first priority was to analyze where we (LPC) had been, where we were now, where we want to go, how to get there, and to develop a ten-year comprehensive plan. In my analysis, I realized that in the short nine and a half years, the LPC achieved what no other agency had, i.e., preserve neighborhoods. LPC not only designated but also monitored them continuously. These acts produced an effect greater than the sum of the landmark parts. It exposed the district’s character, the pattern in space and time. Designation made visible a sense of place, an image man made, historic, spatial, and social. The more recognizable the district, the greater sense of identity, resulting in a emotional frame of reference for acting, interacting, building community, solidarity. Community continuity became a basis for all my and LPC’s goals and objectives. Underlying these goals had to be reflection, criteria for judgment and directives for action, and most important – openness of LPC and collegiality with the neighborhood people. To carry out goals and objectives, [I] devised programs. Implied was prioritizing, prudential judgment, achievable, stewardship. As to our programs, a constructive dimension of our work was to be creating space for public dialogue, sharing with our communities in decisions and thus building constituencies, for the community is the equilibrium of our social, economic and political forces, and able to mobilize the conscience of our city, resulting in the carrying out of our goals. I was informed by one of [Abraham] Beame’s colleagues that Harmon Goldstone had submitted his resignation. Harmon and I had been very close on the Planning Commission. Point of fact, earlier, Lindsay’s deputy mayor called me to city hall and asked whom I would recommend as chair of LPC. I recommended Harmon and he was appointed. I was asked by Beame’s people who knew me from CPC if I were now interested. I discussed it with Mario Cuomo and decided it was a good fit for me. What was required was a planner, a Brooklyn resident and more important for me, a term of office. I knew myself, that I am independent and this way I had some tenure. I said “Yes.” and was appointed. I went to the first staff meeting. Harmon introduced me and graciously talked about me and paved the way. He then left. I took over and ran the meeting as if I had always been there. It was a smooth transition and as I myself was a professional and had great respect for professionals, like the LPC staff, henceforth it was a perfect fit and great relationship. Not only did I run an open door LPC wherein community people had free access to me as chair, but also to the staff. It was complete transparency all the way. The staff was completely part of decision making. We generally discussed all the issues and the staff knew they were an important part. The public would talk to the staff and the staff knew they were working for the people. Nothing was hidden. Yes, there was debate, which must be a critical part of all decision making. There was, at times, even some healthy, friendly dissent, with staff as well as commissioners and community people. For conformity for conformity sake has been said to be the “jailer of progress.” [Unclear] based on knowledge and integrity, with issues weighed carefully and civilly, and resolved in the “crucible of public opinion.” This is necessary for the continuance of democracy. Relationship with the commissioners was excellent. Those who had been Harmon’s commissioners were committed to preservation. They knew I was also. They knew of me from my time at CPC where I had cast my vote to maintain communities. Where there were vacancies Mayor Beame let me choose my commissioners. They had to be not only dedicated to preservation, but also, totally nonpolitical. Anyone brought to me who was political I turned down. Beame gave me free reign to do as I pleased. I even appointed George Collin from Columbia University and James Marston Fitch. The commissioners participated fully in all aspects as well as in programs. They had free access to staff as well as participation in all decision-making. They enhanced the role and effects of LPC. Total collegiality. I could not have accomplished what I did without the participation of the commissioners and staff. A note, the LPC already had minorities, i.e. race and gender. I did appoint another black commissioner – not because of race, but because it had to be a real estate appointment. So I conferred with people and a nonpolitical unbiased person was appointed. He just happened to be black. Frank Gilbert is one of the original preservation lawyers. He left LPC and went to the National Trust doing an excellent job and where he truly belongs. Alan Burnham was one of the original preservationists. He was an important scholar. He was very important to LPC and to me. Unfortunately he died and Margaret Pierson, who worked under him, took over as head of Research Department. I kept her on as long as I was chair. I don’t know why she left, but she went on to important work and published. Adele Chatfield-Taylor. I made her my assistant. At first she was timid about public speaking but I encouraged her and she became a pro. I included her in most everything I did, and talked[-up] her abilities to all I came in contact with. Adele wrote beautifully. We were very close. When she wanted to go away for many months to Boston (I believe it was a Guggenheim award) I let her do so and said she could come back. As a professor, myself, I believe in helping people to progress. Dorothy Miner was the great preservation lawyer, bar none. I could not have accomplished what I did without her. The Grand Central outcome was due to her and Leonard Koerner (Corporation Counsel). We did not always agree, but she often won out. I treasured her. I don’t know why the following chairs let her go. The church was full for her funeral and later her memorial. I had the honor of speaking. She is very missed. Lenore Norman was in charge of everyday administration, not of policy making. She functioned very well and stayed on with the next chair. Margaret Tuft, head of Preservation [Department] ran an excellent department with professional preservationists. They really [unclear] neighborhoods and worked well with applicants. We were close. As LPC had a small budget and few programs when I became chair I knew we needed help. I read all the Federal Registers/Records which listed all the federal bills and regulations, and noted what money was available for preservation as well as how and where preservation was concerned. With federal money and other money I sought, I wrote and enacted programs. I also sought and received money from Mayor Beame for additional staff, i.e. counsel, P.R. etc. I raised about one and a half million from private foundations, NEA [National Endowment for the Arts], NEH [National Endowment for the Humanities], federal [sources] (even the White House), National Trust, CDBG [Community Development Block Grant], Rockefeller Foundation, Banks (Bowery, E. NY. Savings, Independent Savings, Lincoln) Theodore Roosevelt Foundation, N.Y. Community Trust, etc. Regarding what LPC is, how it works, how-to leaflets, posters, TV and radio spots, slide film, and maps. It’s purpose [was to] expand constituency, understanding, slide film for schools, museums, libraries, community boards. Maps of all designated landmarks: individual, districts, scenic, interior, produced one for boroughs, one community sections, to be periodically updated; also distributed to all elected officials, city agencies, etc. Purpose – landmarks are a pivotal point in community for stability and renewal. Celebration of a single landmark, regeneration of a street, and spillover effect surrounding areas; example Theodore Roosevelt House (28 E. 20 St. Park Ave. and Broadway); added new trees, paint jobs, special paving, cooperation street occupants regeneration of street. Categorized types, quantified costs of restoration and ability of owners to pay, gaps in fiscal ability/ and cost of mechanisms to fill fiscal gaps. Listing all historic districts on National Register to gain funding from S. 2124 Tax Reform Act 1974 Since Amended. For future designations; headed team of about five by Walter Thabit; staff included Andrew Dolkart and Sarah Landau. They identified 29 districts and 8900 landmarks, and developed historic districts. Books; issued for communities; still used by Historic District Council. Demonstration project; cooperative program with community people in Carroll Gardens. Paid for project leader. To ensure protection of law and its use. Mayor Beame gave us money for attorney – Dorothy Miner (even thru the city’s fiscal crisis). Use their funds and programs in our historic districts; such as CPC, EDA [New York Economic Development Administration], HPD [New York City Housing, Preservation and Development], etc. Preservation of architectural documents, review city building history, Department Buildings 1862-present. It began south of 14th Street. It is an invaluable resource for architects, planners, urban historians, social research, and real estate. A matching grant from NEH (totaling $26,502) for “Preservation of Architectural Documents” enabled the hire of two architectural historians. They devised a system of cataloguing, evaluating and arranging for preservation of drawings and other documents of all buildings demolished prior 1969; Dept. Buildings had. As the Department was established 1868—this would include 100 years of history [the Department of] Buildings would have destroyed lest we obtained a moratorium on destruction. Court Street in Cobble Hill Historic District. Worked with merchants, property owners and community people. Mayor Beame gave us money for staff, used C.D.B.G. money for staff. Unionized staff. Study new uses, creative conversion, avoid destruction, and provide focal point revitalizing community. Use TRA to rehabilitate it. Involved in finding new uses for city-owned property while retaining its character and tradition (ex. Jefferson Market – Victorian Gothic structure – prominent and historic anchor in Greenwich Village. It attained new significance – neighborhood library). Reuse of schools; which under-utilized but nucleus of its community and community anchor, stable but older publication. New uses (community center, family health center, etc) preserve community identity; ecological advantages—pool energy uses, walk not drive. Each student produce an original body of work which will contribute to an institutionalized and intellectual approach to preservation. Have LPC bring together a group of highly motivated scholars and professionals who have and will have an expanded understanding of the history of NYC and a commitment to its future. Roy Strickland, architect was hired as program developer and director. [The program included] lectures from professionals, students released from colleges for a term to LPC, full time, from Lehman College, New York University, Parsons College, Barnard College, Queens College, and Brooklyn College. September 24 and 25, 1975 (NYC.) Sponsored by LPC, NEA, New York State, Mayor Beame, and Conservation Foundation. Participants, about 300 invited, were a cross-section of national and international professionals, elected officials and citizens concerned with preservation of community areas. It focused on neighborhoods as key workable units for urban stability merging quality of the past with present and future needs. [There were] panels and workshops to analyze programs, problems and future strategies, funding, legislation and public and private initiatives, Research Publication be developed for wide distribution. Study the problems and consequences of conserving the vitality, socio-economic character and physical integrity of our nation’s urban areas. Evaluate and clarify historic district designation as a positive tool for community revitalization. Encourage Federal, State and Municipal authorities and citizen organizations to join in funding and administrative commitment to the built environment and other urban resources. To develop new techniques for preservation. Positive – reaffirm constitutionality of New York City Landmark Law; LPC has the right to designate; Courts step in only if arbitrary and capricious. Negative – invalid as prevent charity carry out purpose; hardship confiscatory; if City desire to preserve buy or lease. Court, on face, proved it hardship. LPC walks a fine line; need partner with charity. Purpose not just to designate but to save, i.e. I did so with Grace Church where tension and threats of law suits on both sides and Article 78. Congress in Historic Sites Act 1935 recognized conflict Preservation and constitutional protection of religious rights and they need balance. The Historic Preservation Act 1966 established higher standards in religious cases; not just noted architect, need primary distinction. In the early days, designation was mostly of elite buildings. The LPC controlled by those arrogated to themselves decision making without regard to their numbers. Most designations were in Manhattan and the Upper East Side or some special areas. When I was chairman, I began a survey of the entire city – the outer boroughs. First area was Brooklyn. We contacted the community people who lived there plus businesses, real estate and banks. We did up brochures with indigenous information, history, design, etc and photos. Then I, commissioners, and staff held meetings with the communities in their communities. I went after CDBG funds and set up a great survey team headed by Walter Thabit, with Ed Freedman, Andrew Dolkart, Sara Landau and other great preservationists. Our material was used for the designation as well as used by LPC staff and future LPC chairs after me. It was a time of recession and in some ways it lessened development pressure. Also I went out to meet with real estate, etc., and explained the Federal Tax Reform Act vis-à-vis rehabilitation of landmarks and it became a great incentive to preserve by rehabilitation. It was a financial incentive. As a result it was the beginning of preservation of old excellent buildings and their rehabilitation and reuse. I went all over explaining the incentive of the Act. It worked. Now we can se the result of all those wonderful landmarks. Mayor Beame was very supportive and his staff was great. Even the PR person was helpful. I had complete autonomy over appointments and decisions, ex. Grand Central. Of course, I gave, often, Mayor Beame credit and when we celebrated designations and like (renewal of Theodore Roosevelt block) I had the Mayor lead off. Our commissioners were nonpolitical and any new ones, I chose for their expertise and preservation commitment. Politics and city administration never interfered. As to the City Planning Commission, John Zuccotti and I talked it out and henceforth we worked well together. They helped enormously with Grand Central. I guess they respected me though probably would have preferred one of their own. The civic groups were all behind us. I guess I was independent, professional and definitely nonpolitical. Foundations, banks, and even the federal government gave us funding. New York City’s LPC became one of the most important agencies and was recognized throughout the country. I guess I had established a reputation at the Planning Commission and for better or worse it helped me and LPC. Of course, I was not reappointed with a new mayor. I did not support him, as I am nonpartisan. The powers that be and money took over the commission. As to my future, the Governor offered me the SHPO [State Historic Preservation Office], heading all of NYS preservation. I refused as previous SHPOs convinced me it was just a glorified job and it was under [the] Parks [Department] which was not preservation oriented. Besides I had my Ph.D. and was teaching at Barnard College. I decided time to leave government and became special assistant to Bishop Joseph M. Sullivan of Brooklyn Queens, in Human Services and Health. He had several professional degrees, was liberal, and enabled me to use my planning expertise and carry out my concern regarding poverty, affordable housing, civil rights and all that is democratic America. I did research and drafts for his speeches. He was a great humanist and it was a rewarding position. Unfortunately LPC is more or less controlled by the mayor i.e. designations and public hearings. There is a need for greater transparency. The staff and commission should be open and available always to people, Open Door Policy; there has been a great deal of confrontation and negative press. The Real Estate Industry is now confronting LPC. They have money, power and influence. And as Lord Acton wrote: “Power is corrupt and absolute power is absolutely corrupt.” LPC must be strong and independent. It must reach out and establish allies as well as good relations with the media. I believe the preservation organizations will be supportive. A problem is the City Council where bills have been introduced which would eviscerate LPC. Relations with community people must be strengthened. For “the City is the people” (Coriolanus) and the people are our partners in preservation.